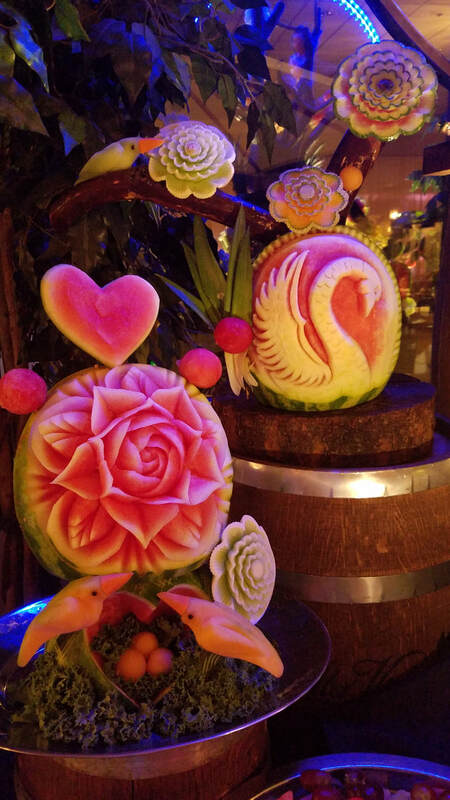 Artistically Hand Carved Decorations. 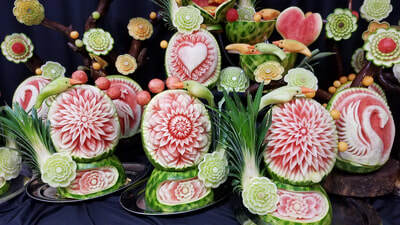 Amazing Sparkling Presentation. 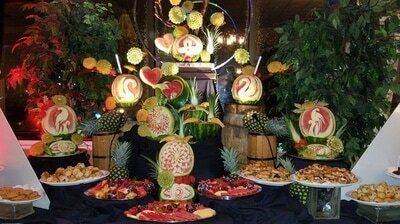 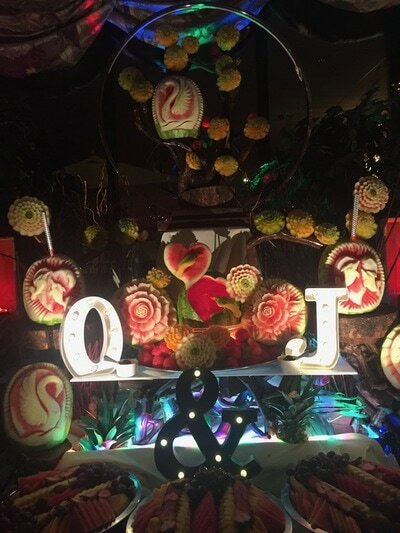 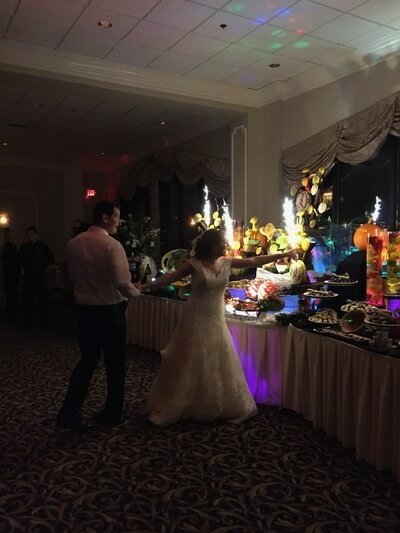 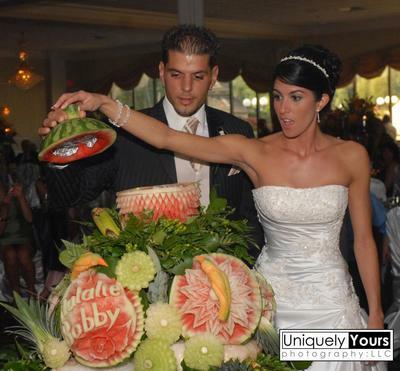 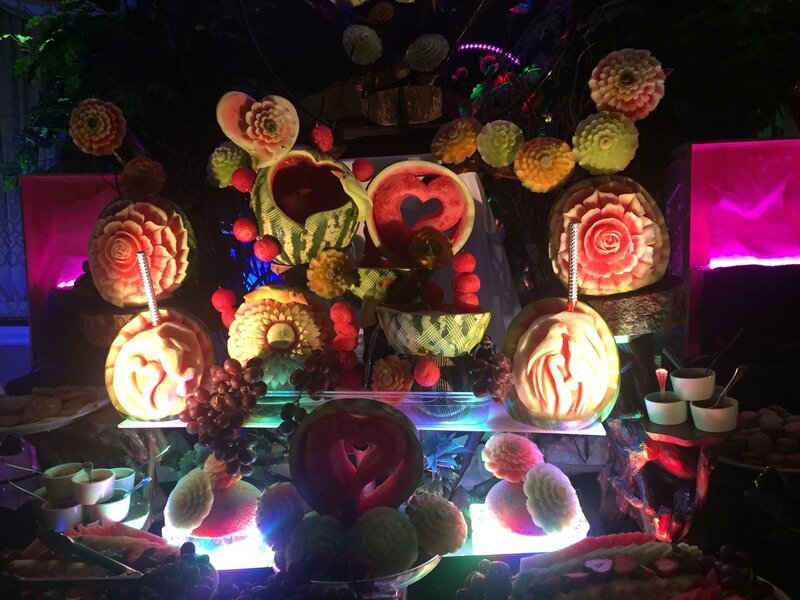 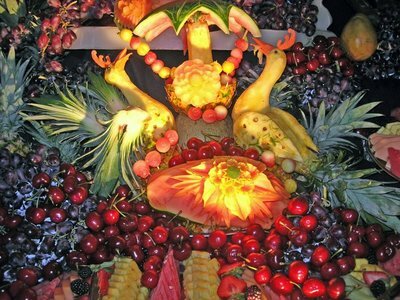 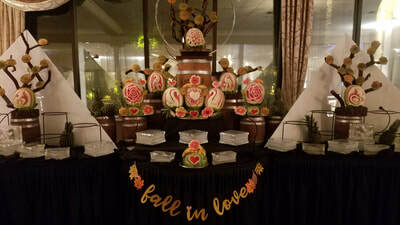 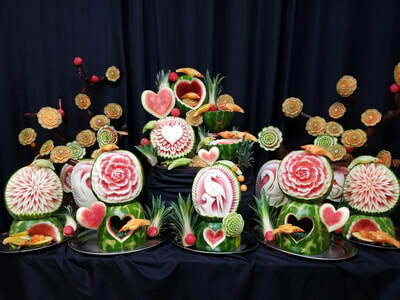 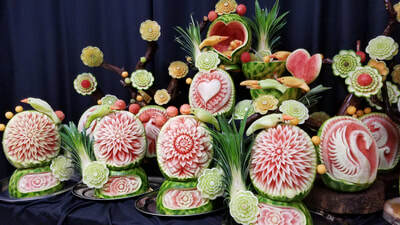 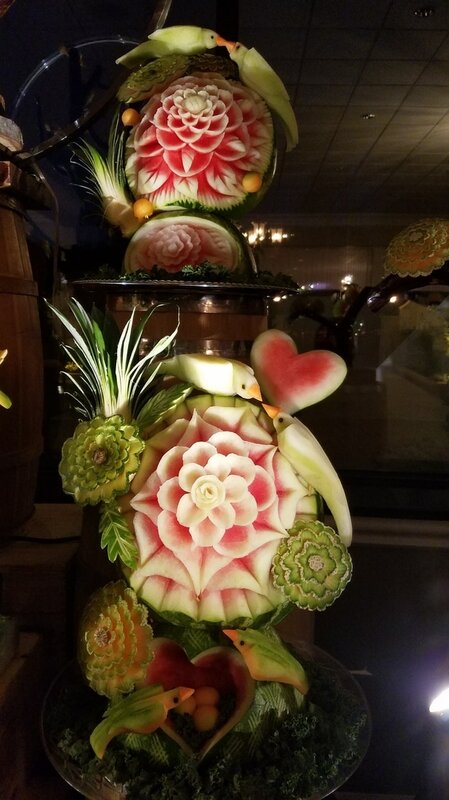 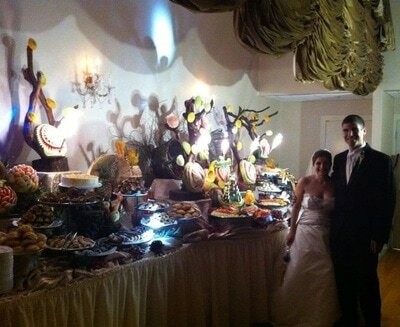 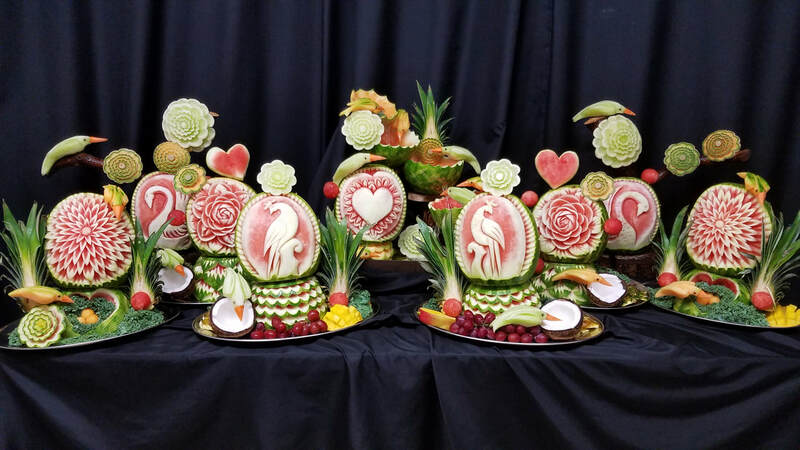 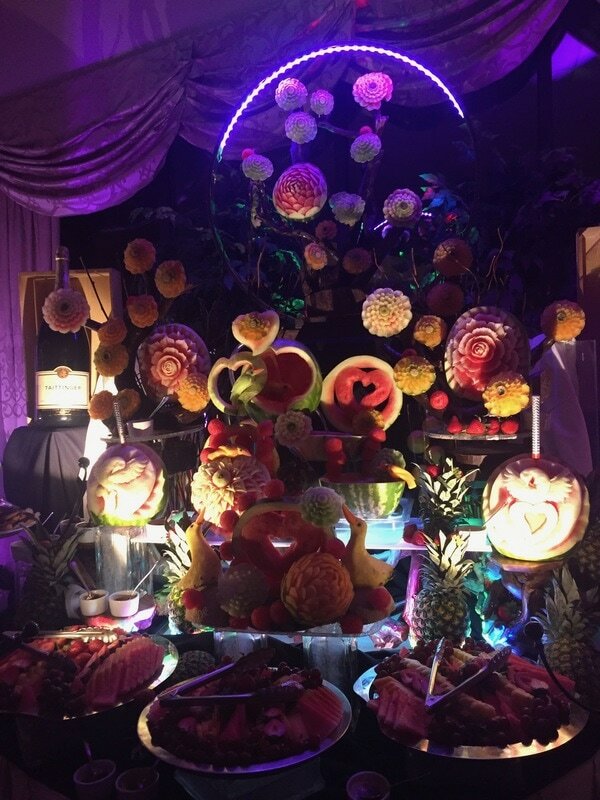 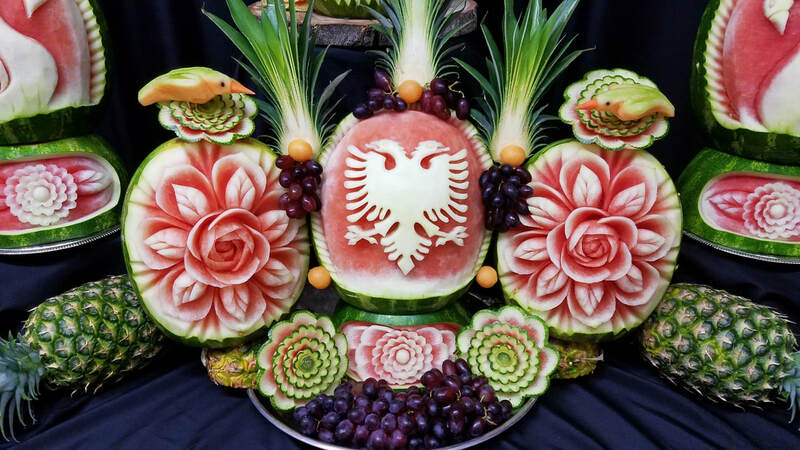 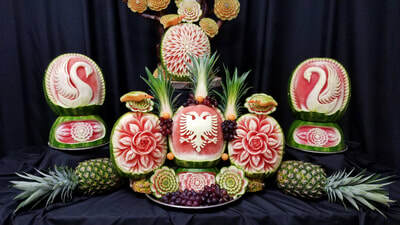 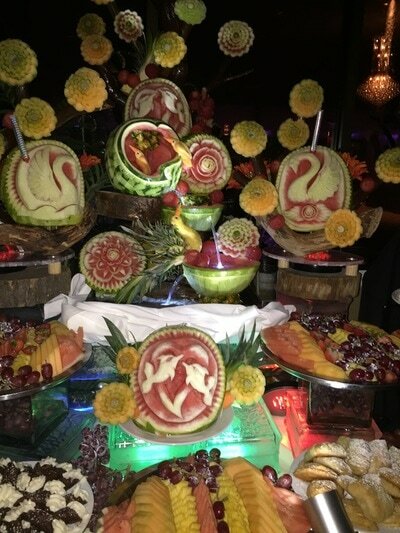 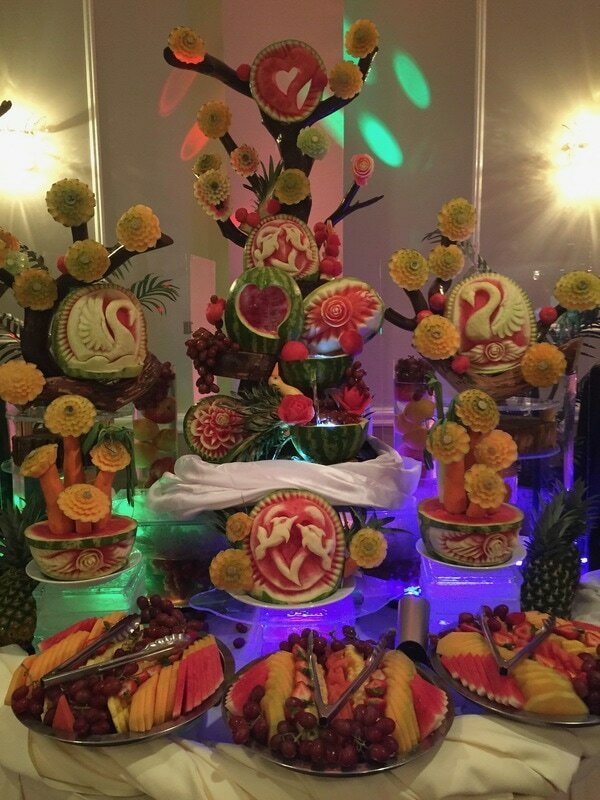 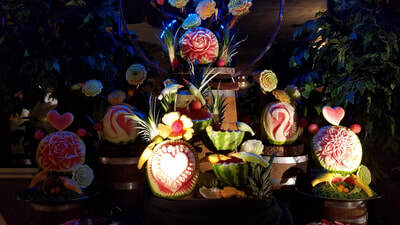 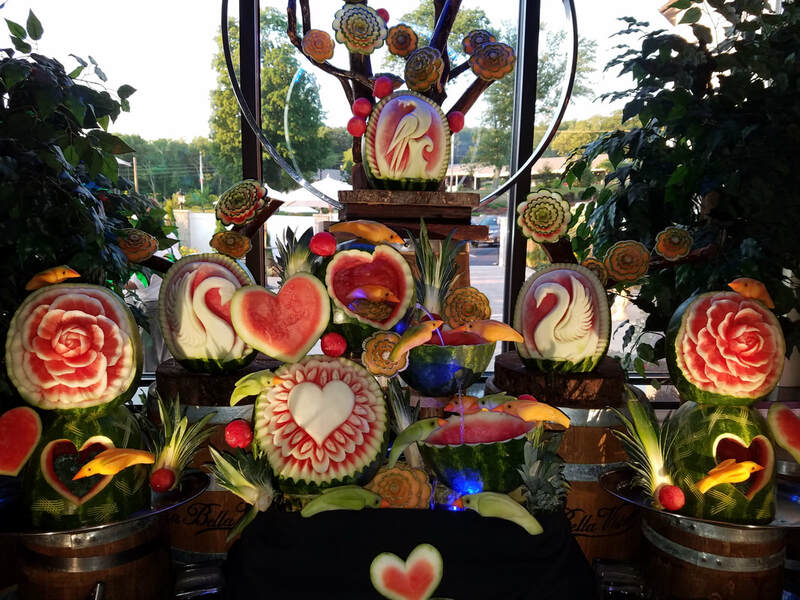 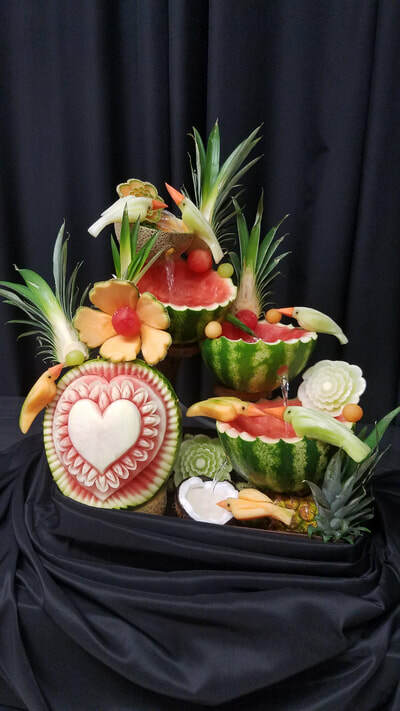 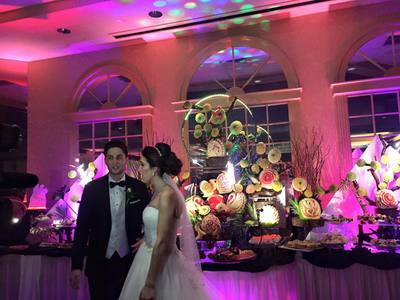 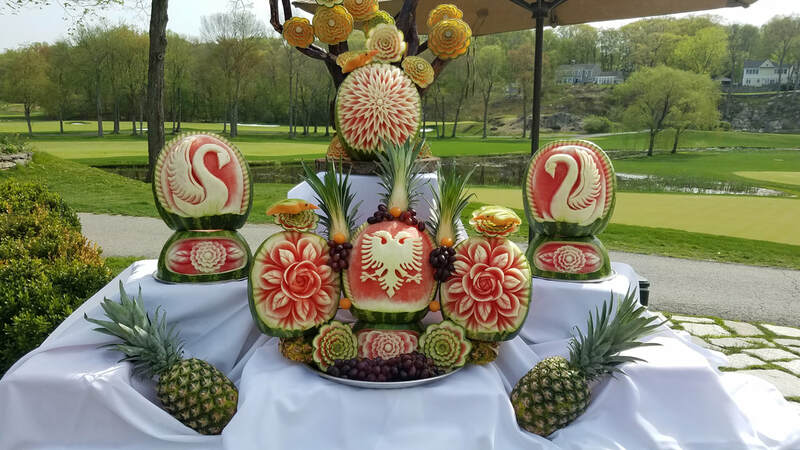 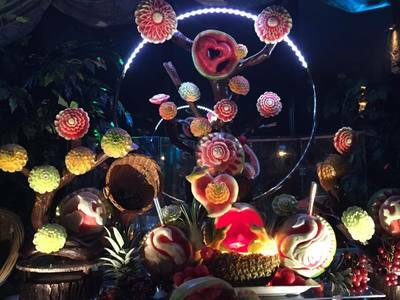 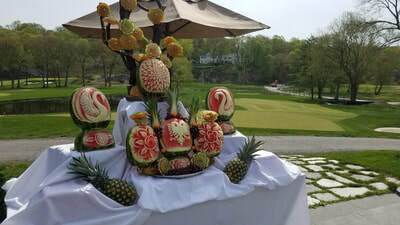 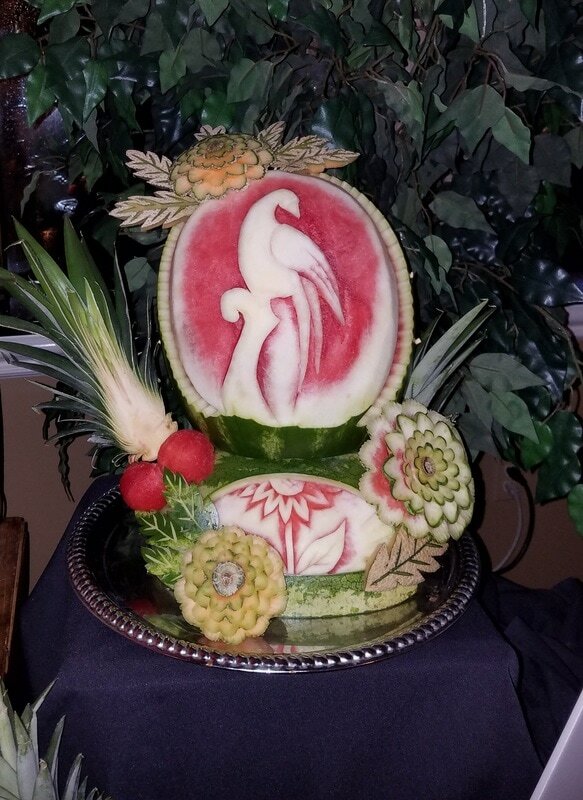 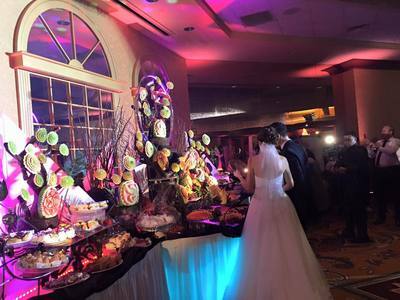 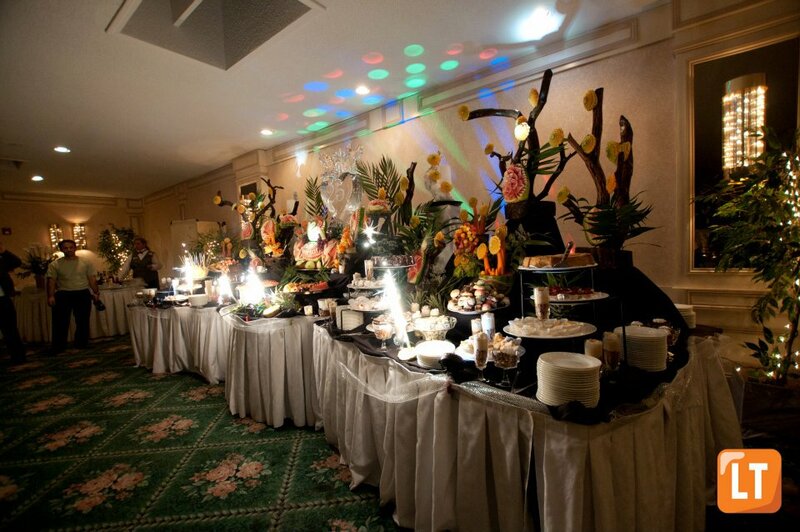 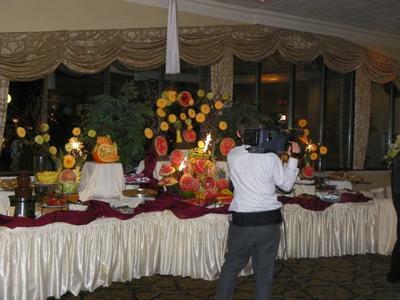 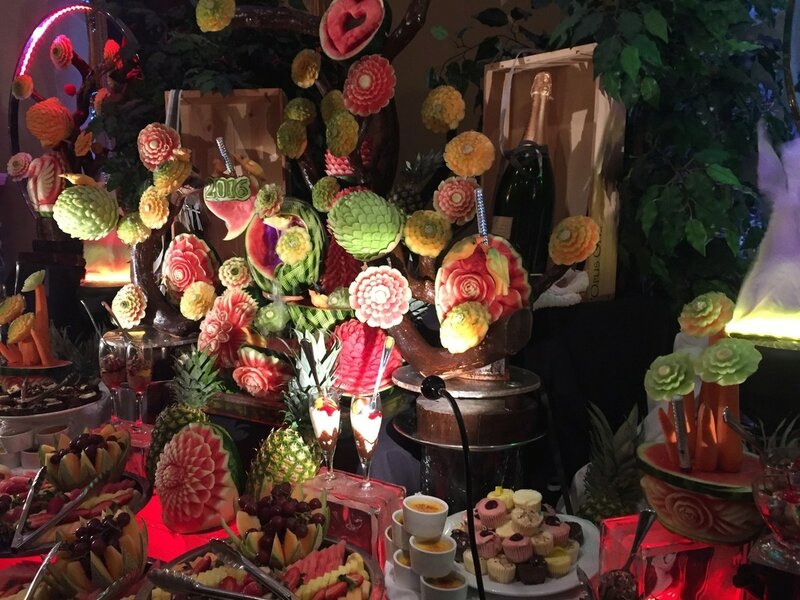 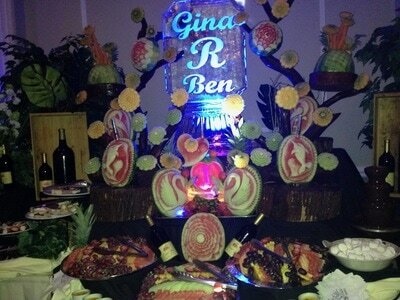 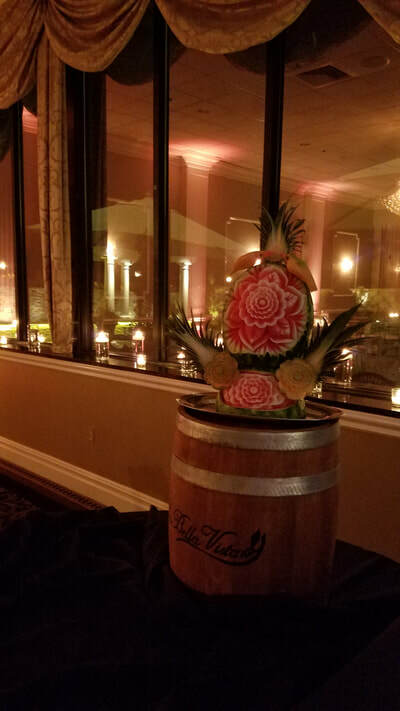 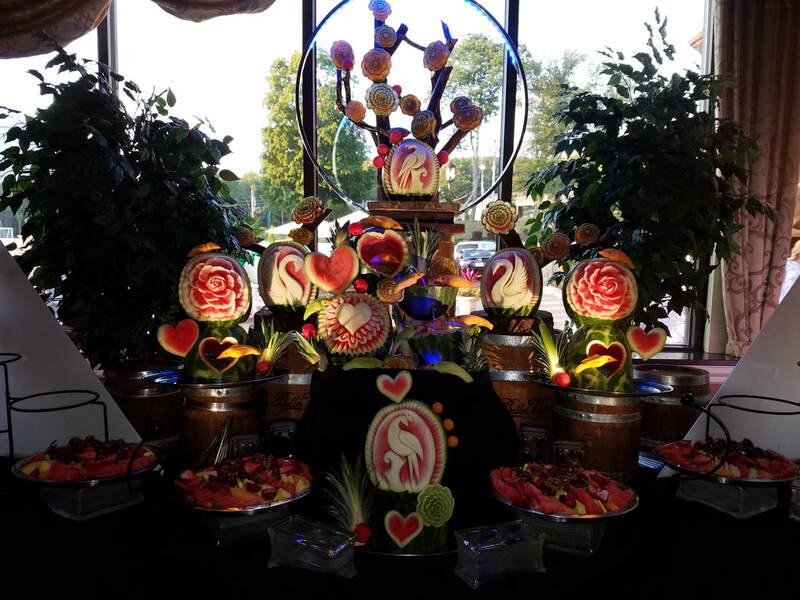 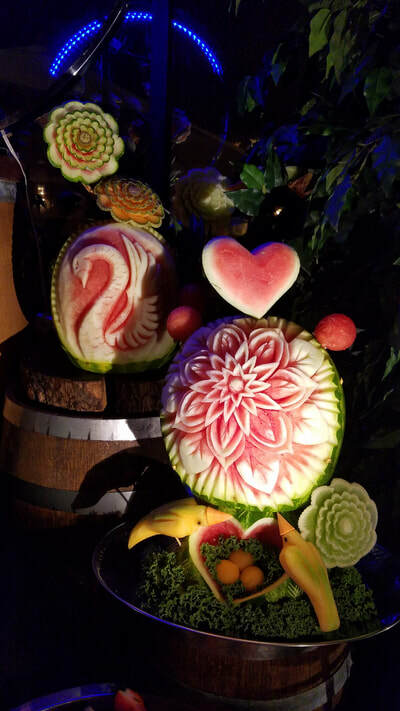 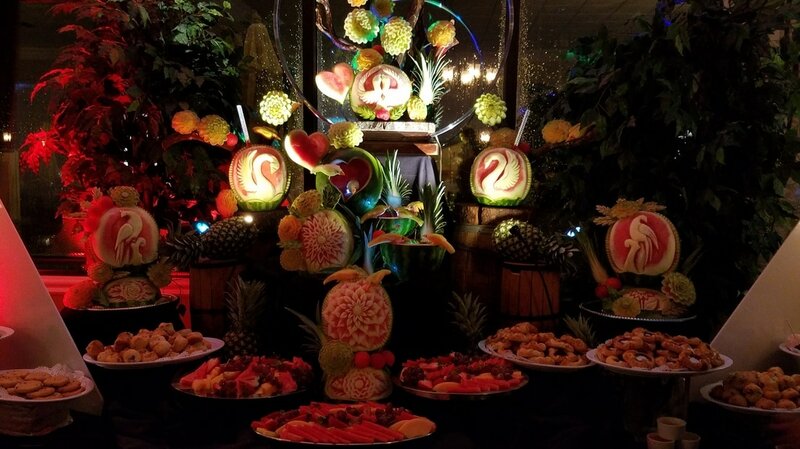 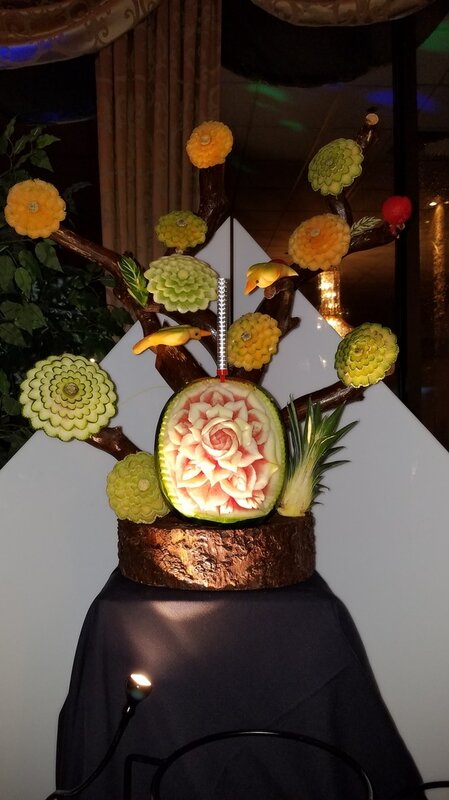 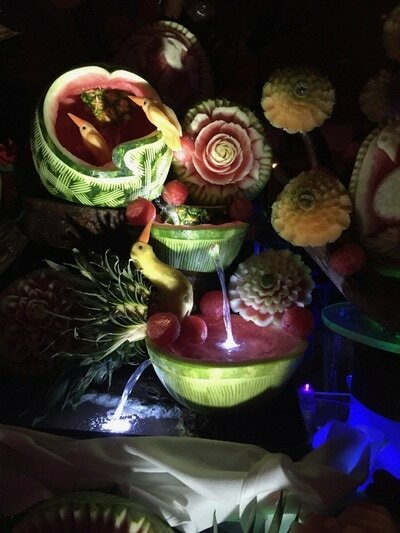 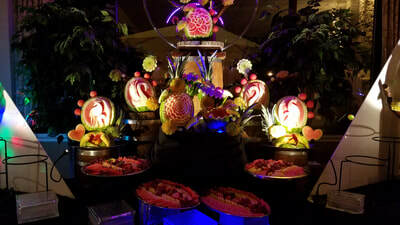 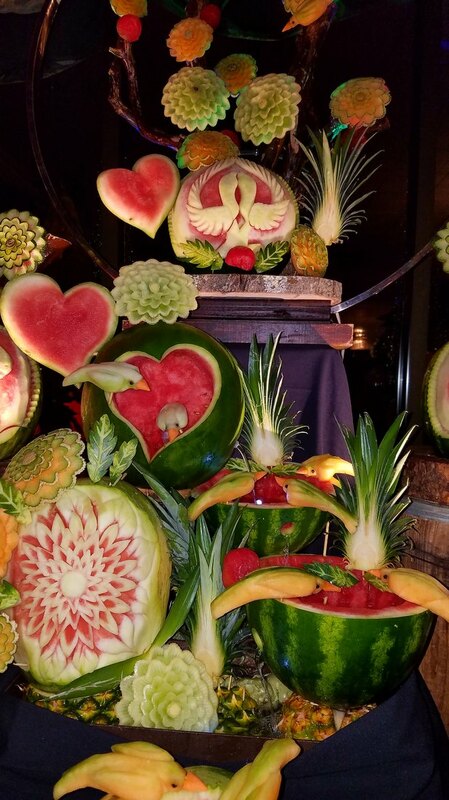 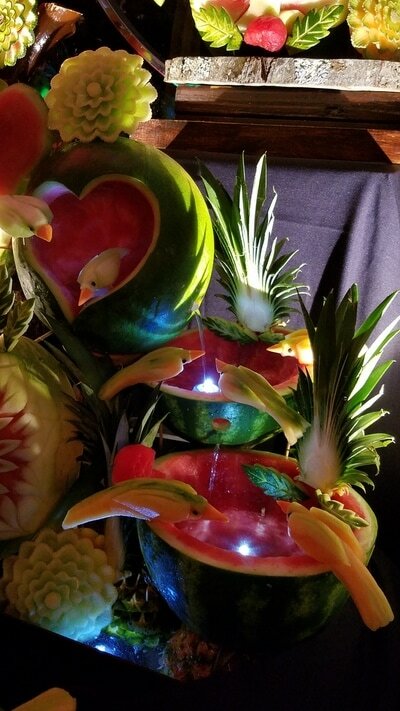 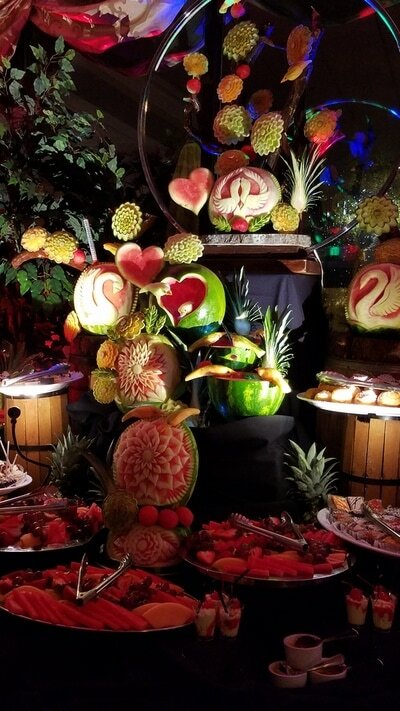 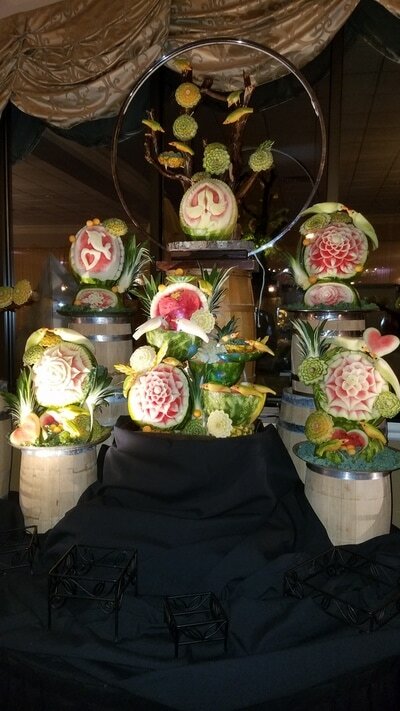 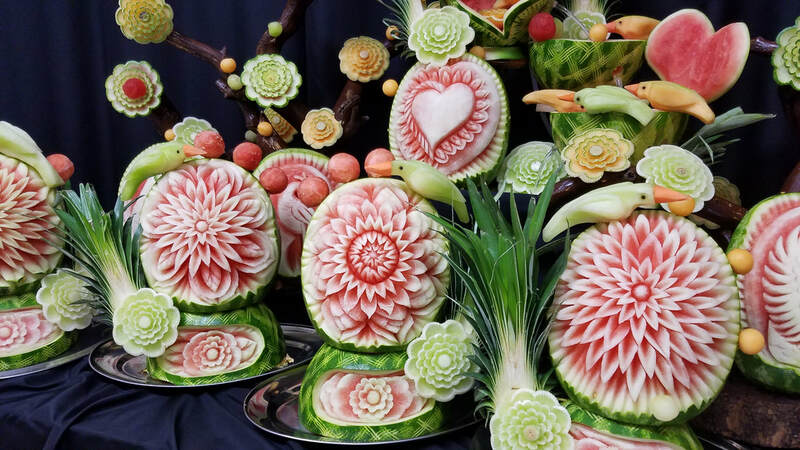 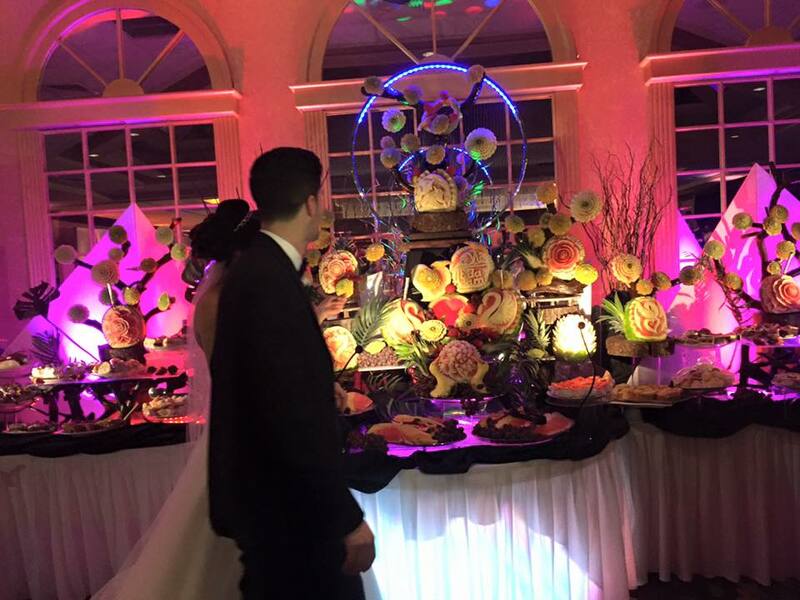 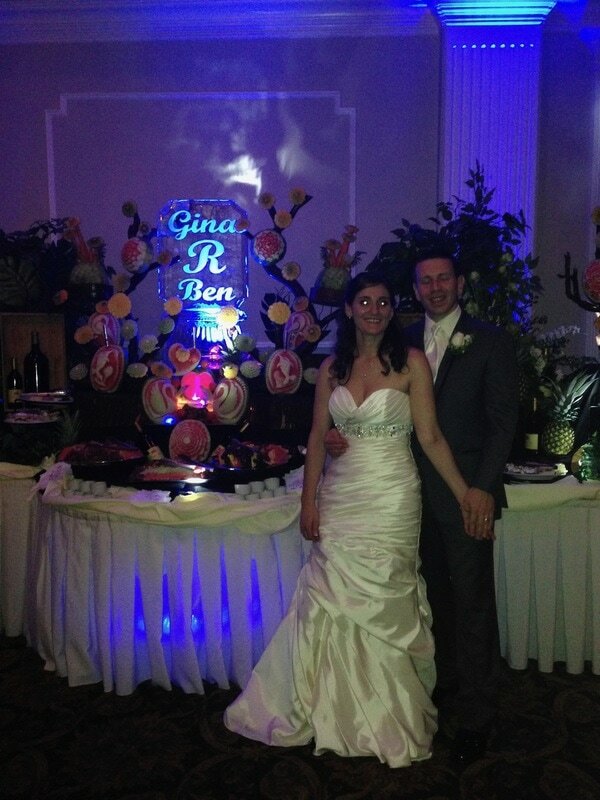 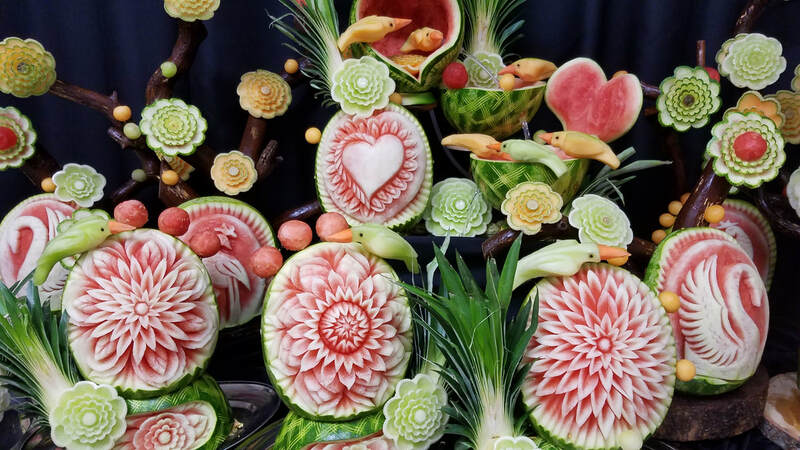 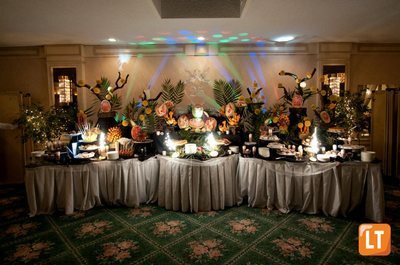 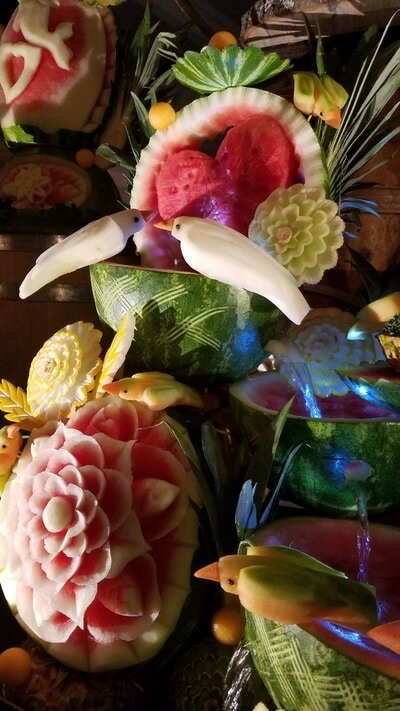 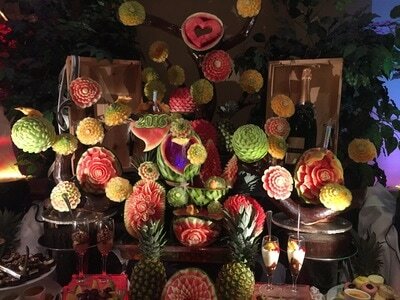 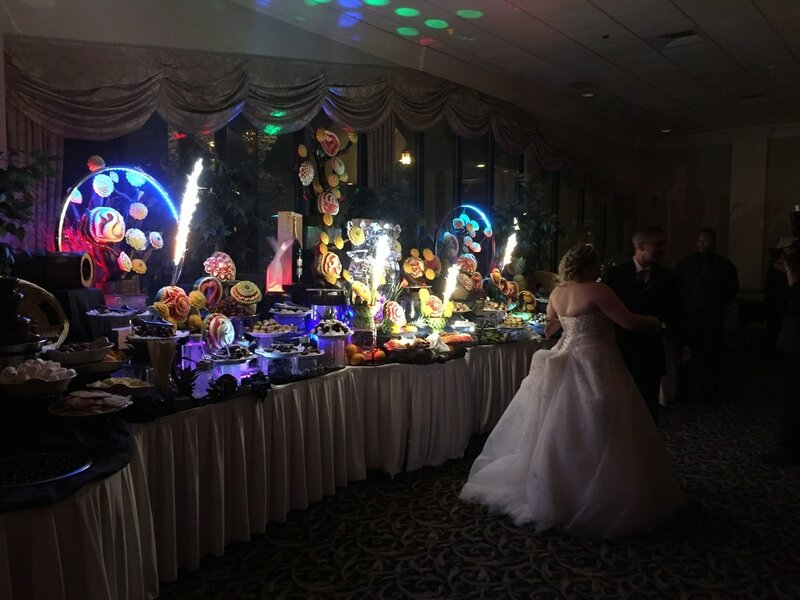 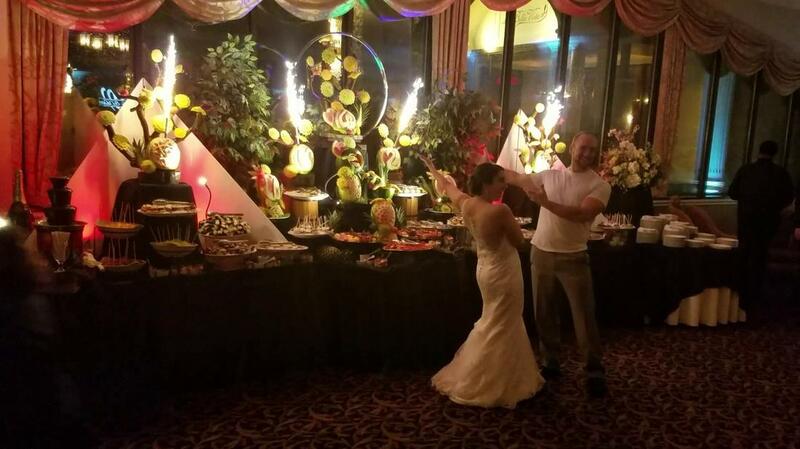 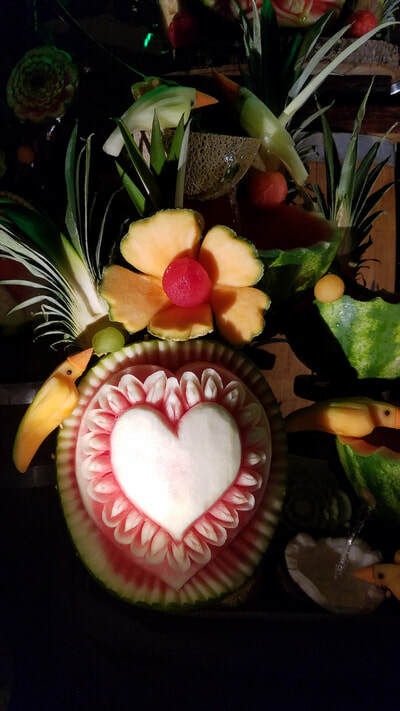 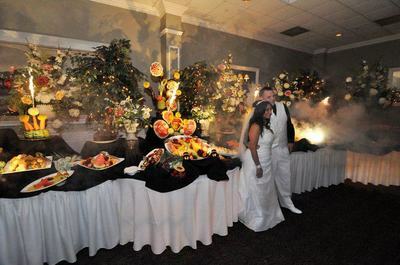 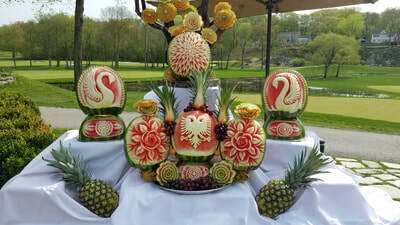 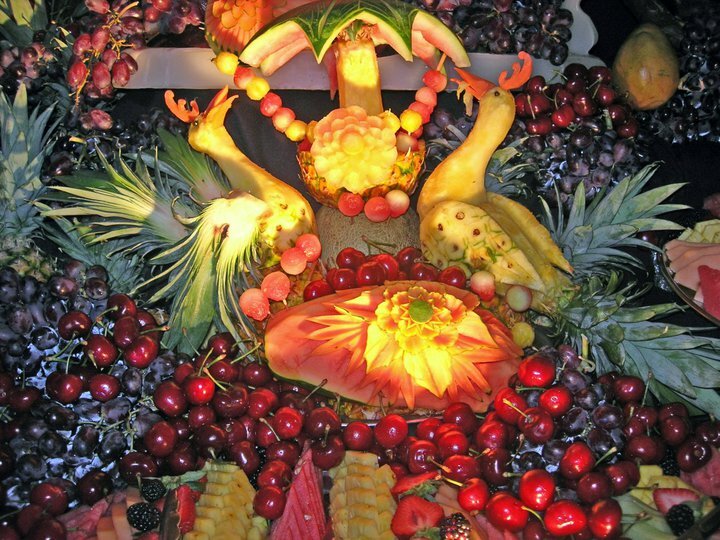 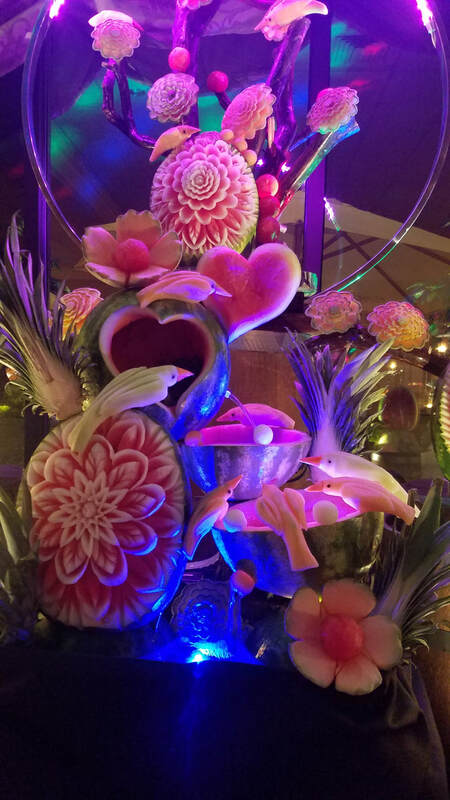 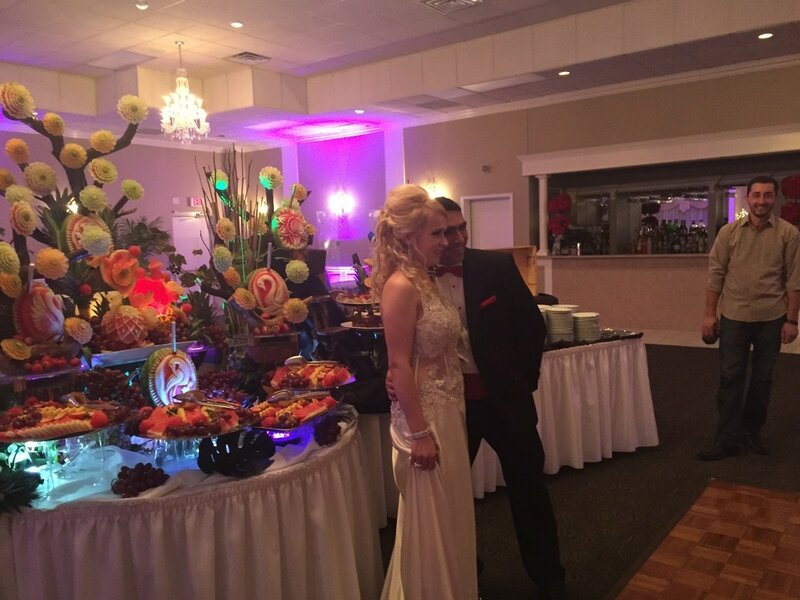 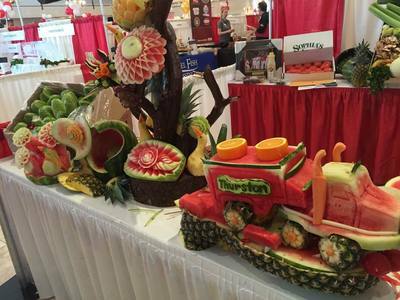 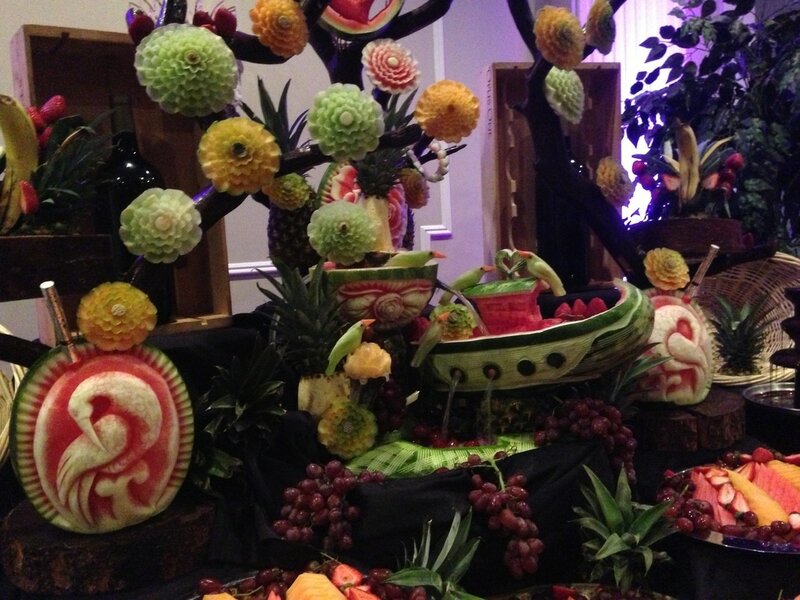 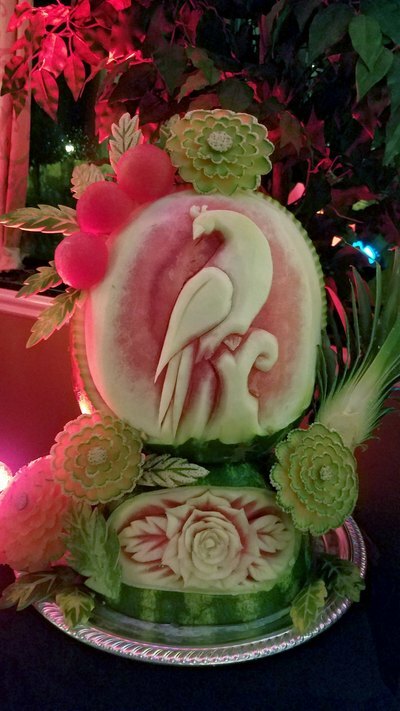 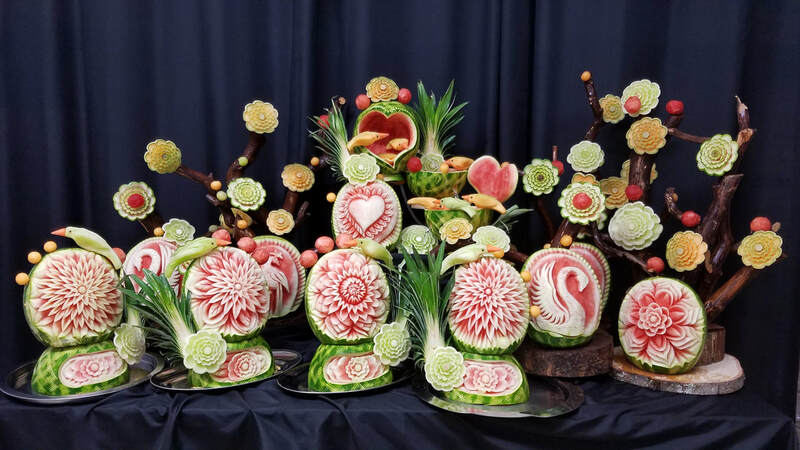 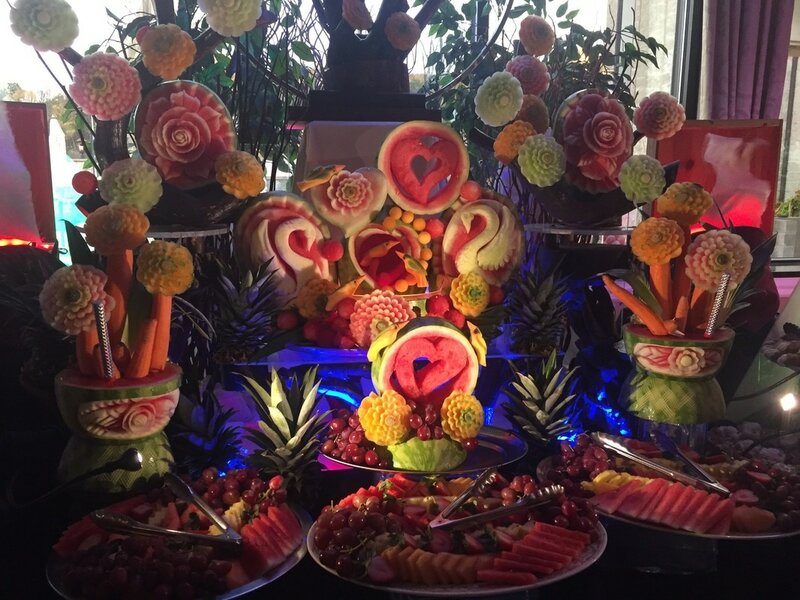 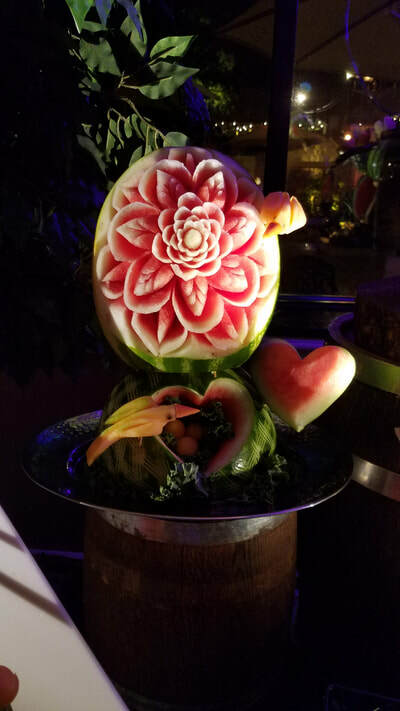 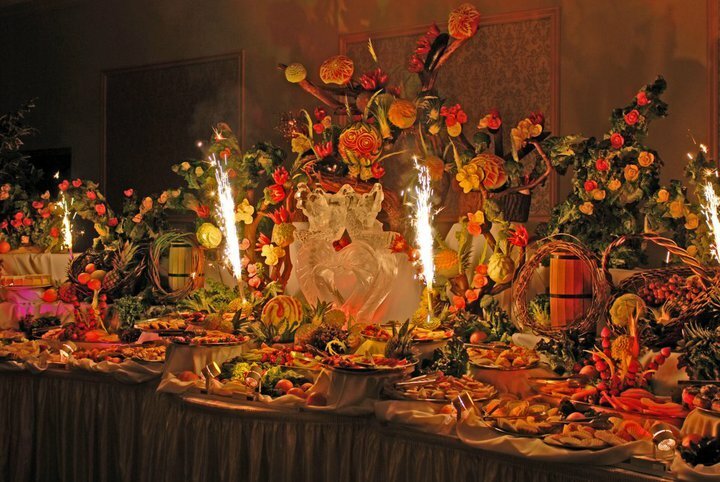 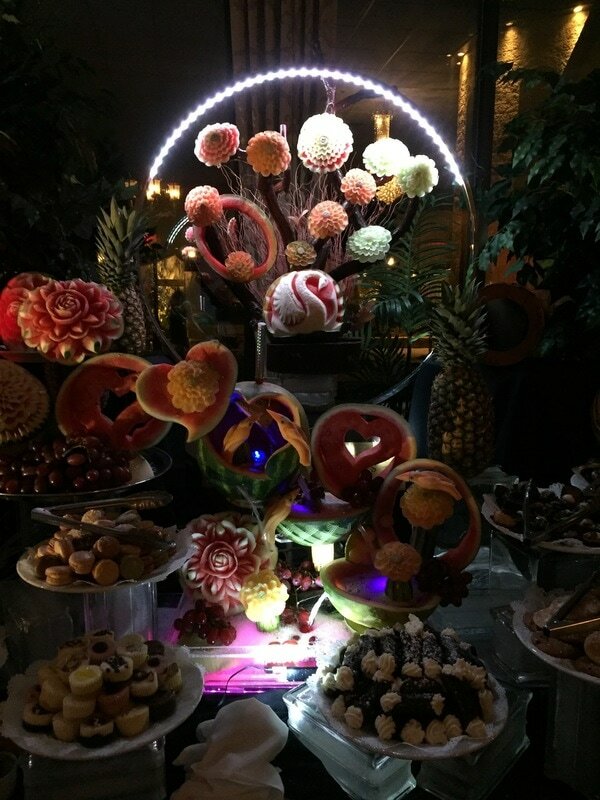 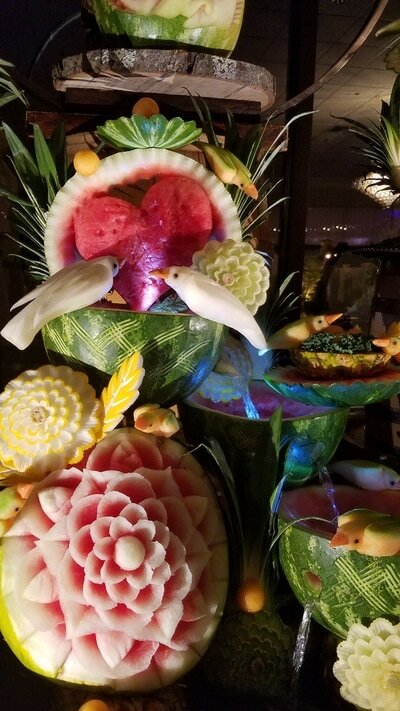 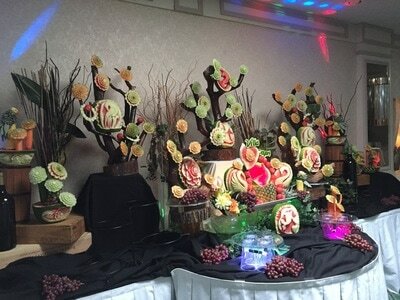 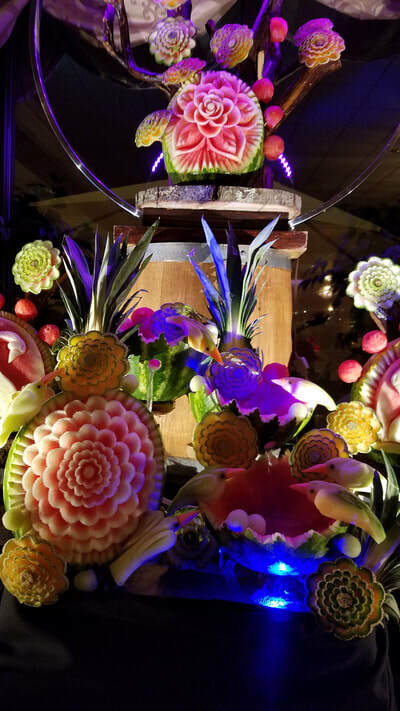 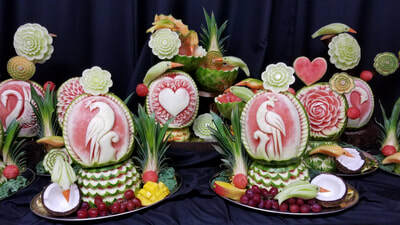 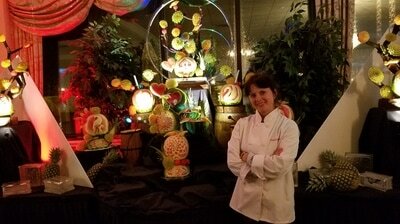 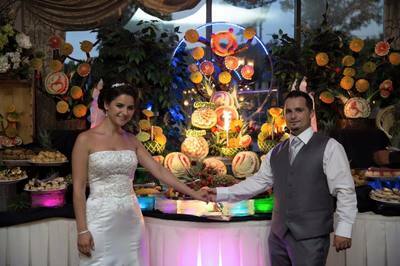 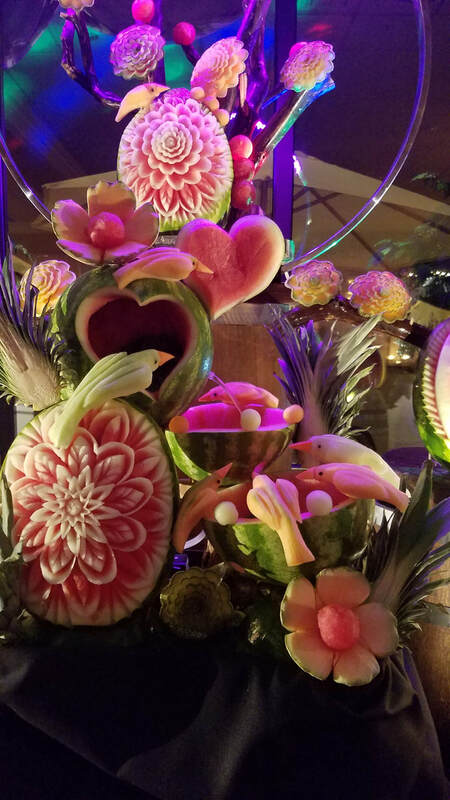 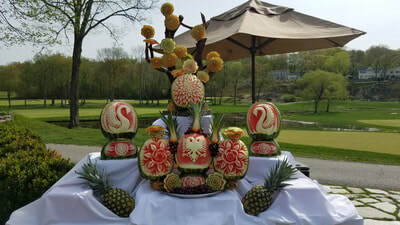 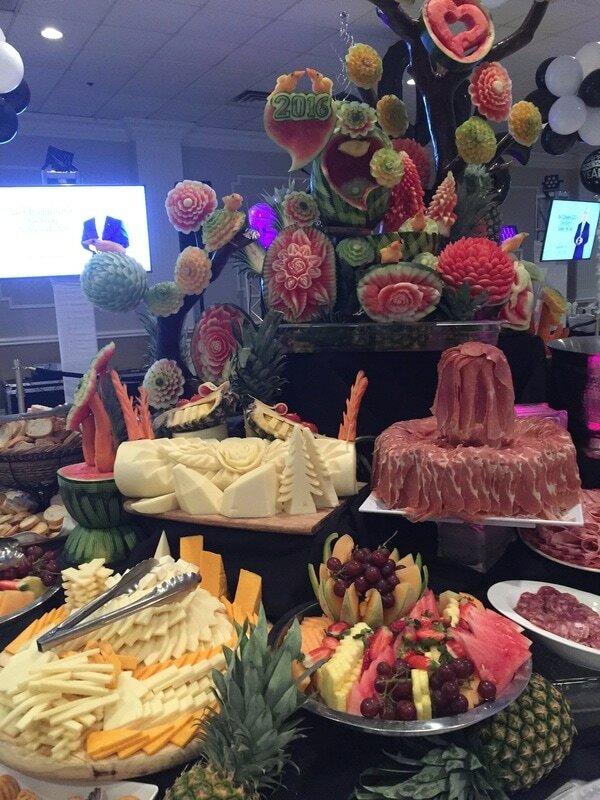 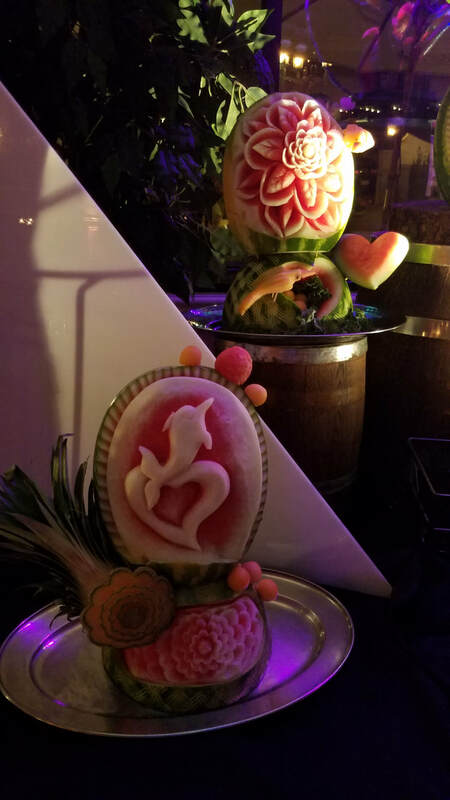 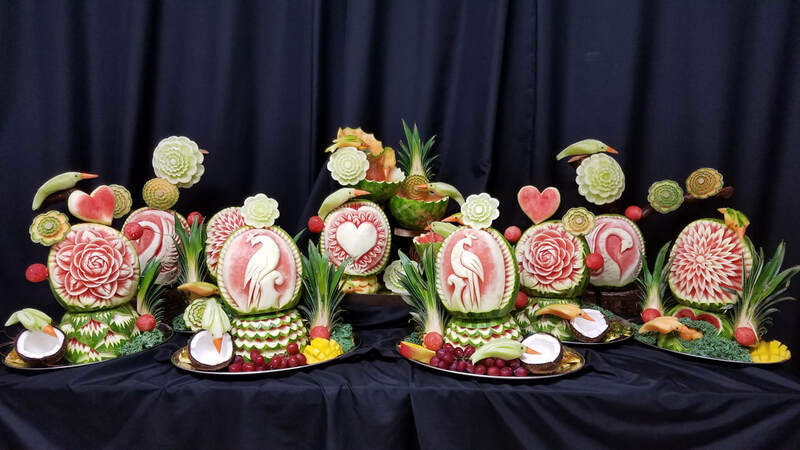 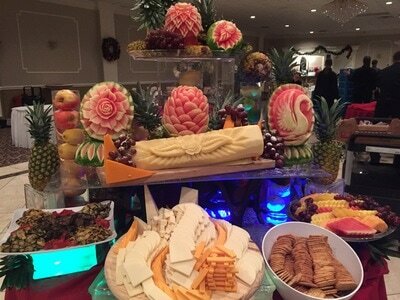 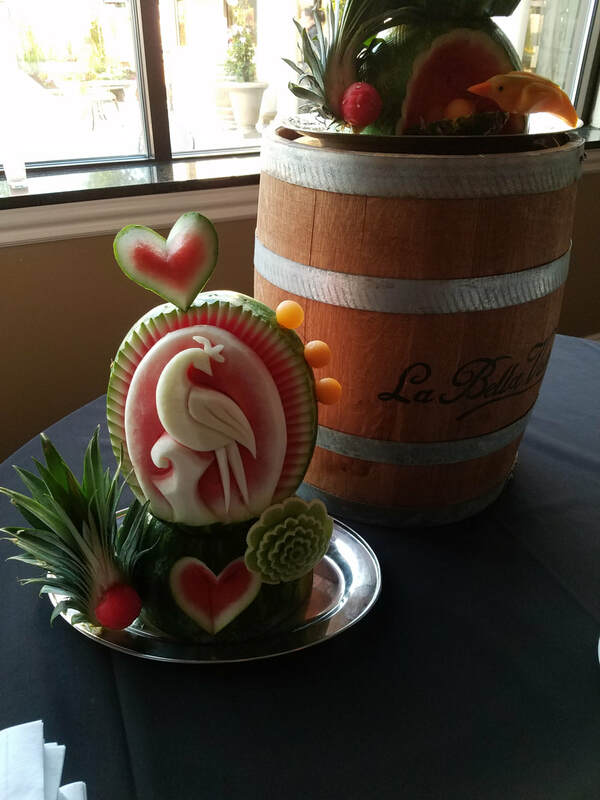 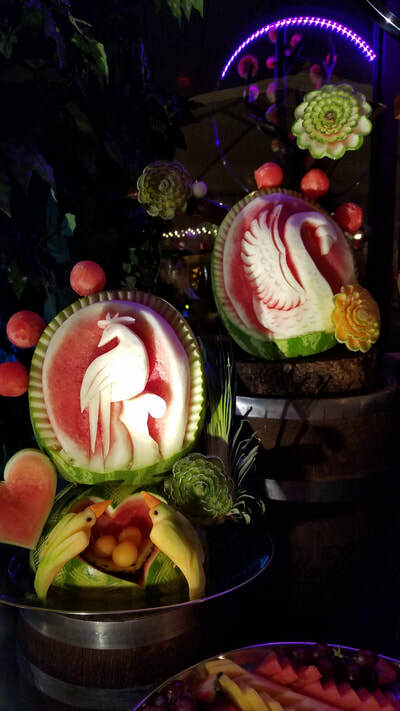 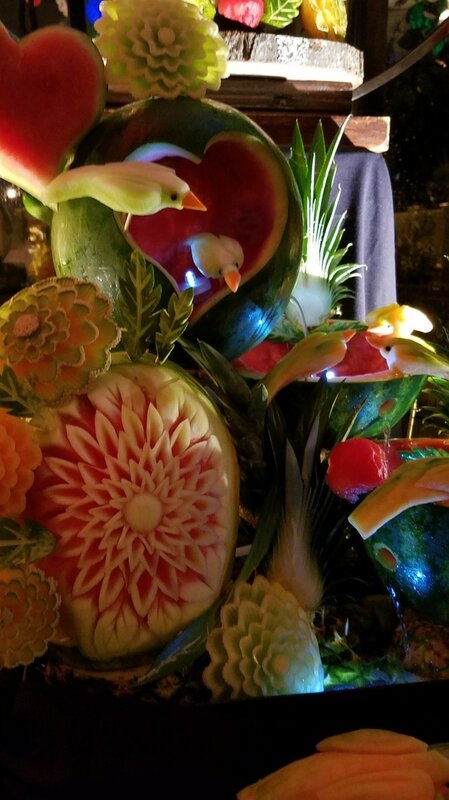 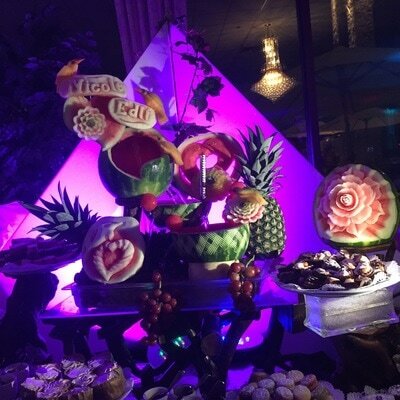 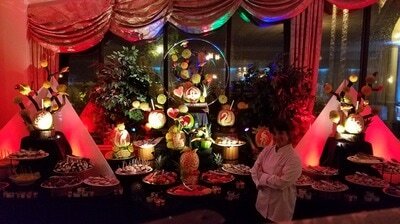 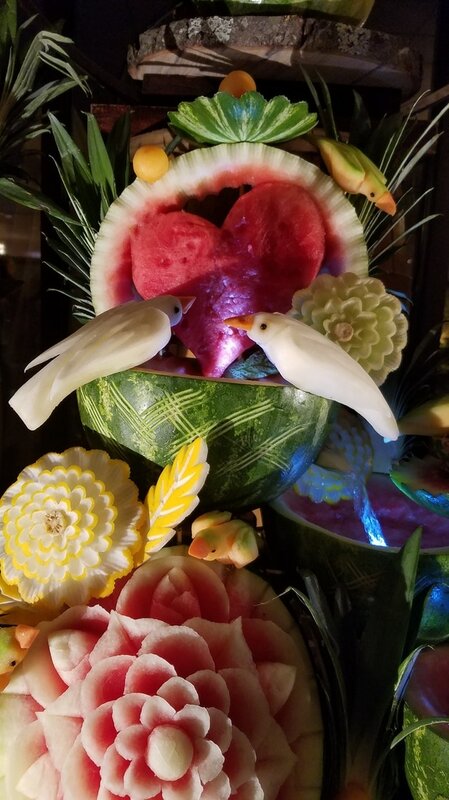 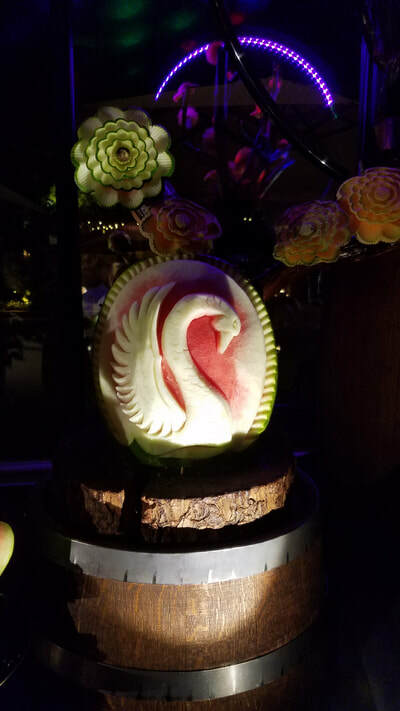 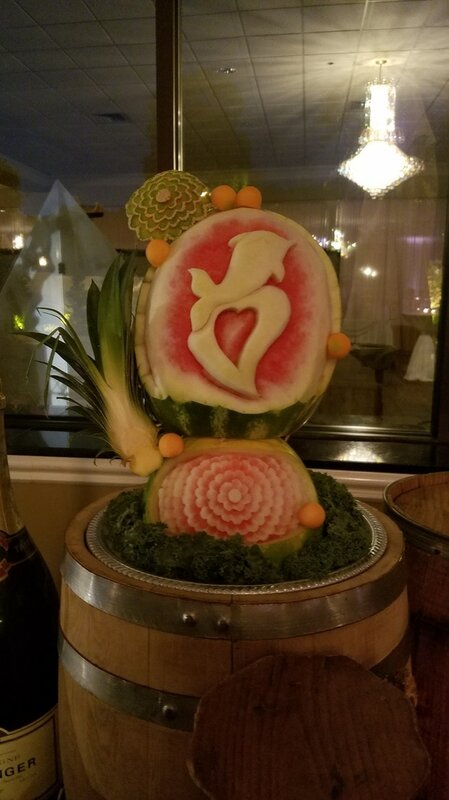 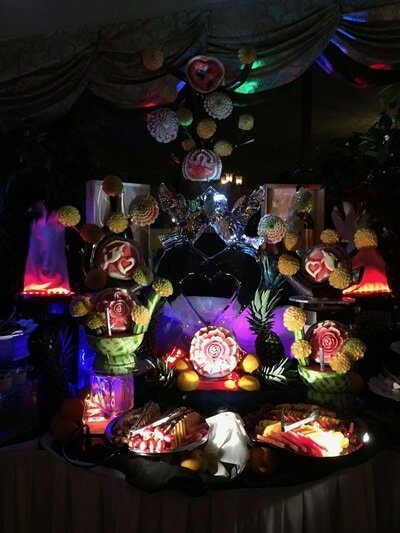 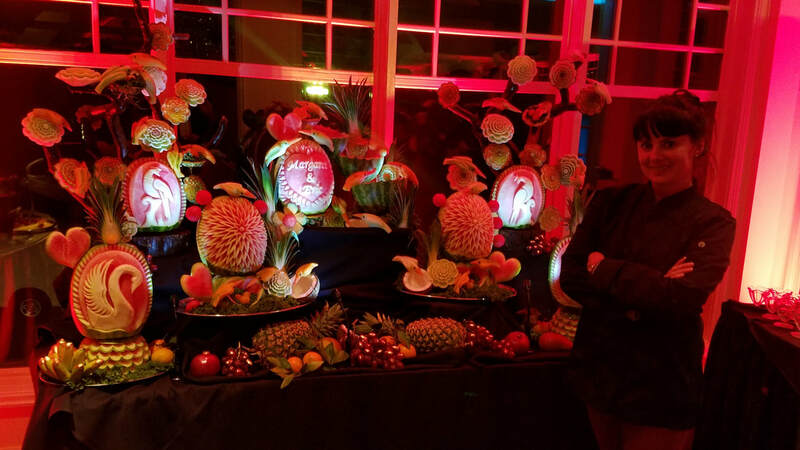 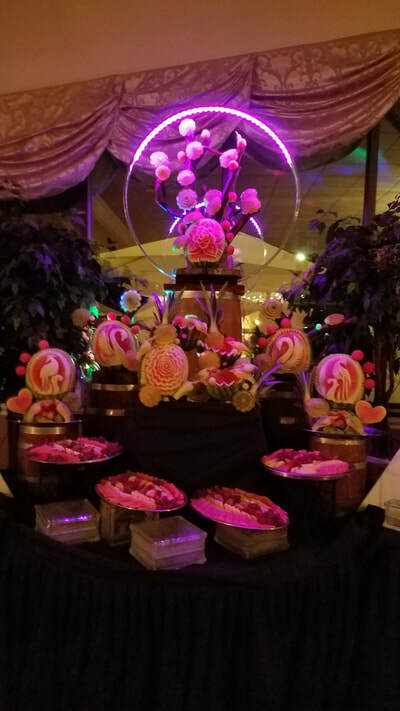 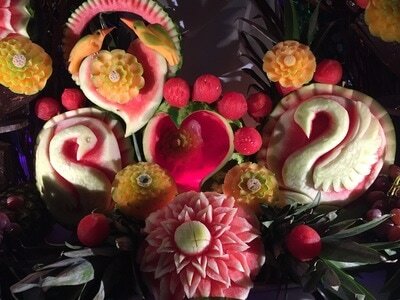 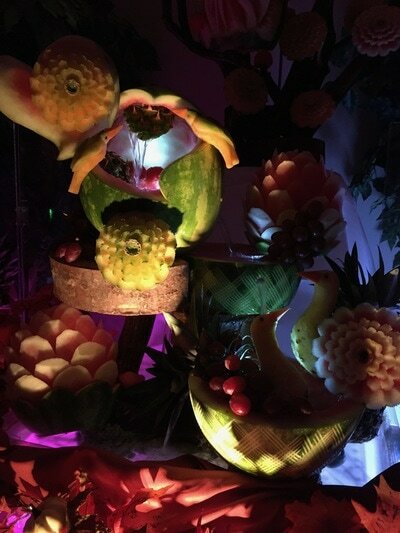 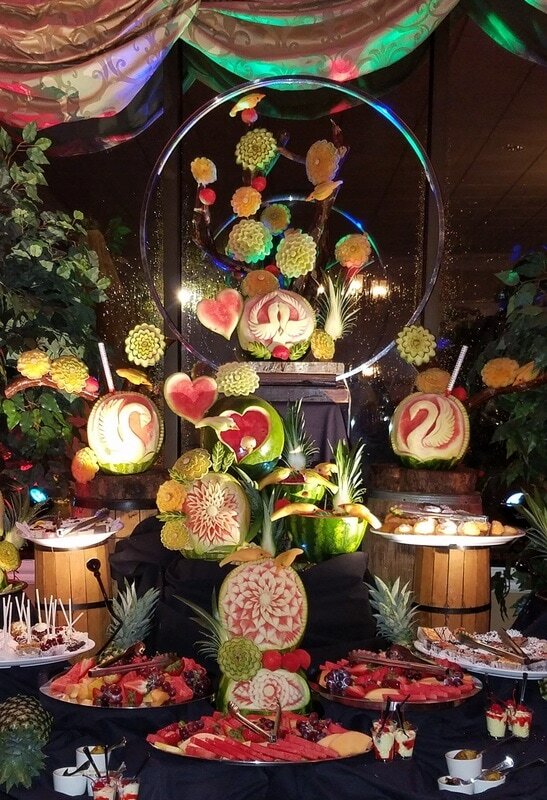 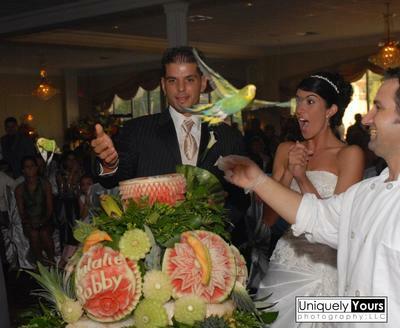 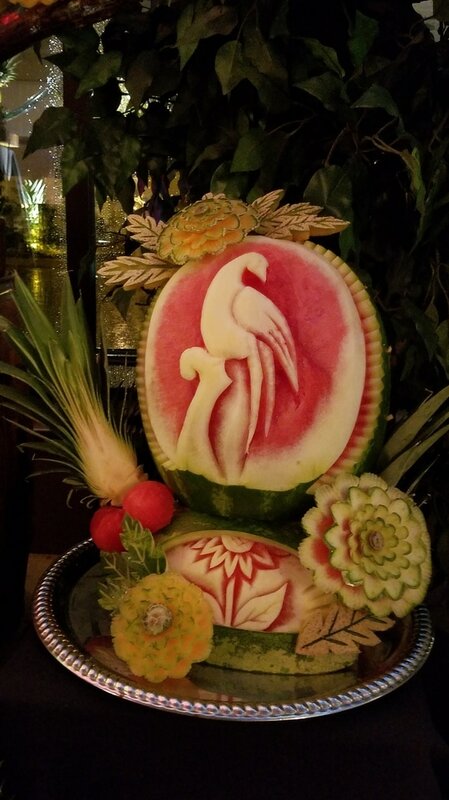 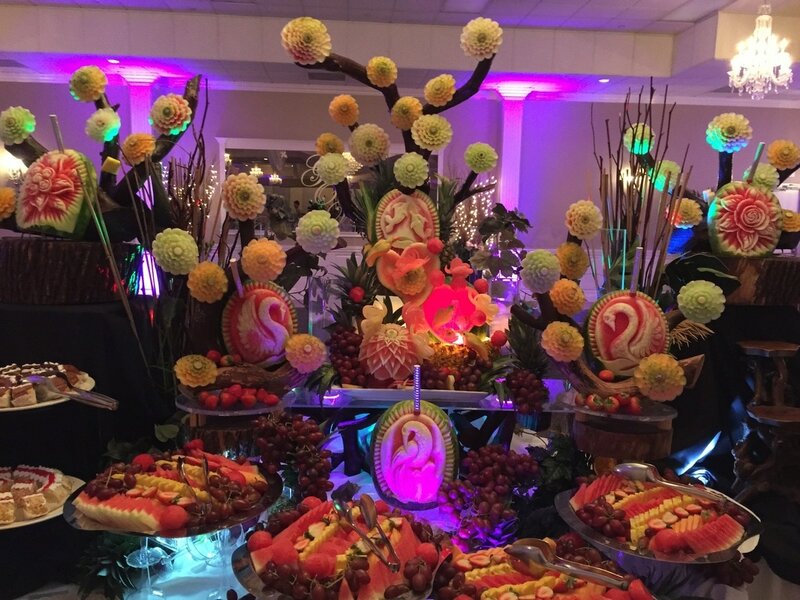 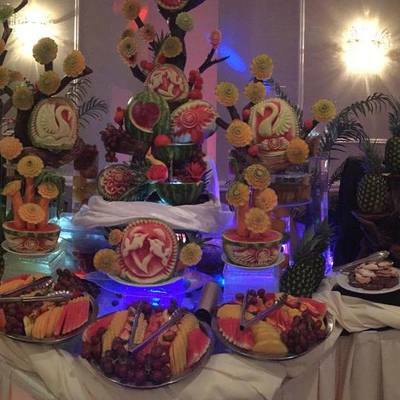 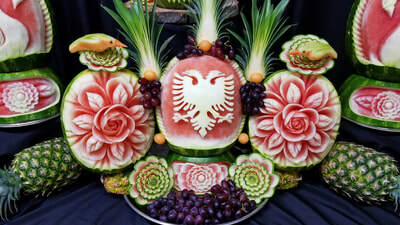 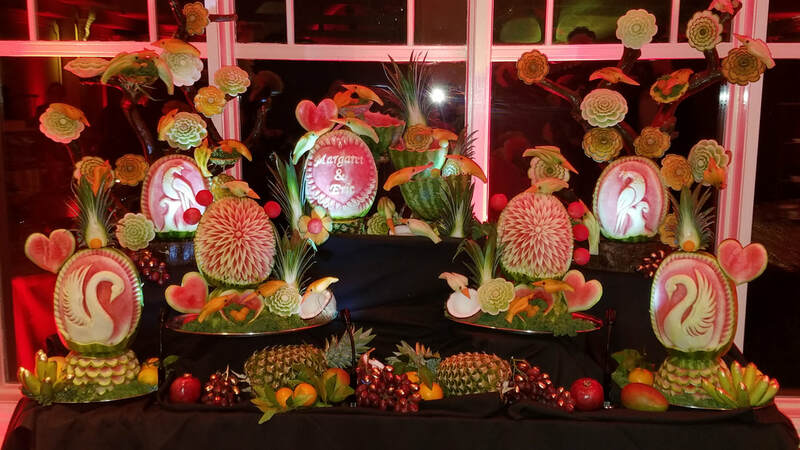 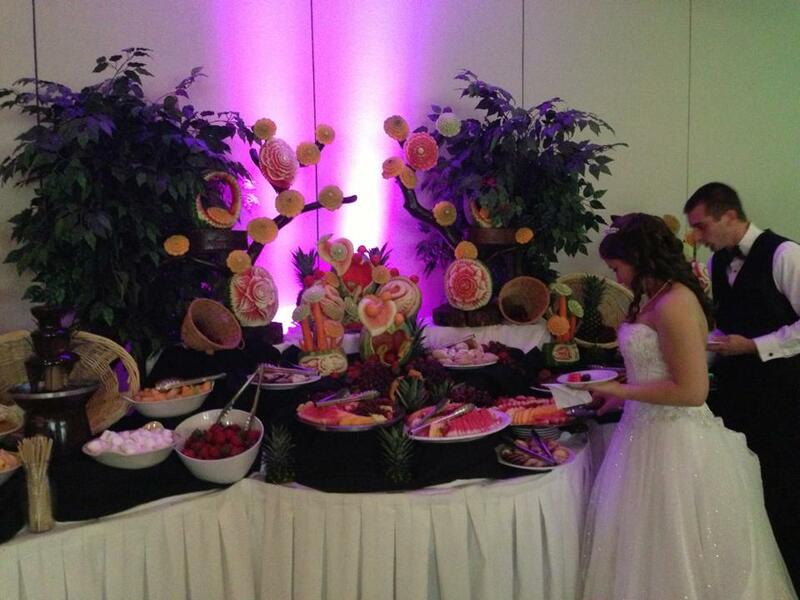 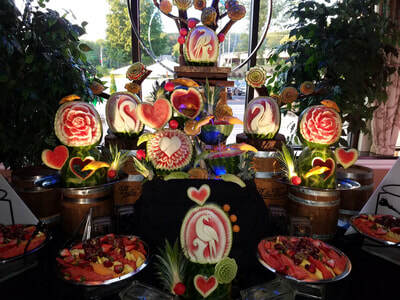 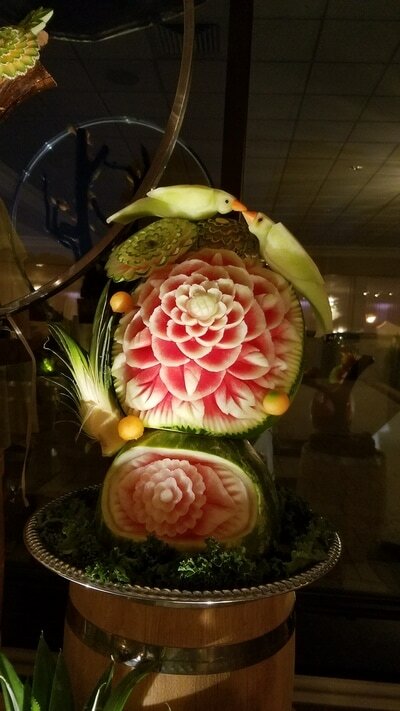 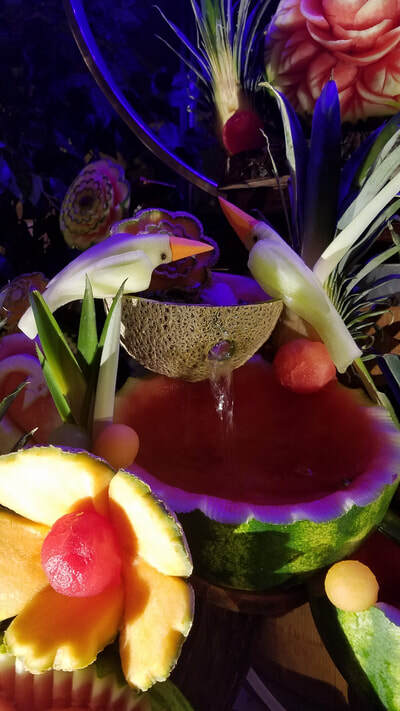 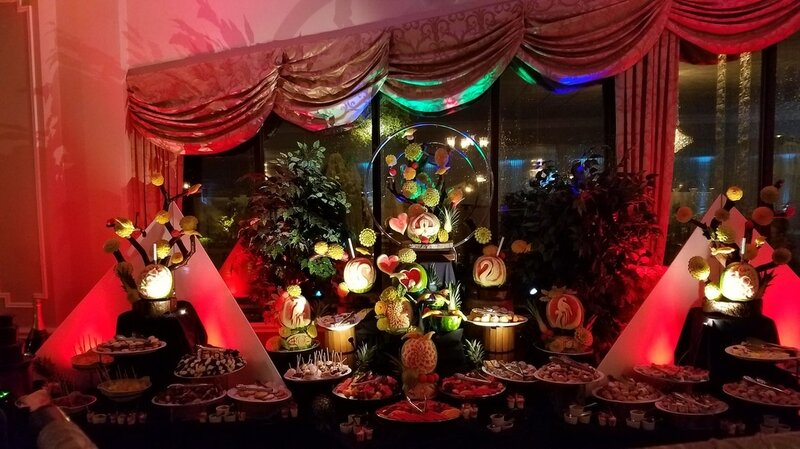 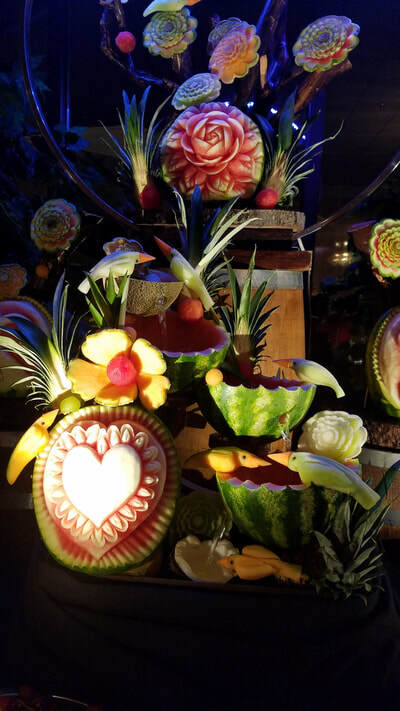 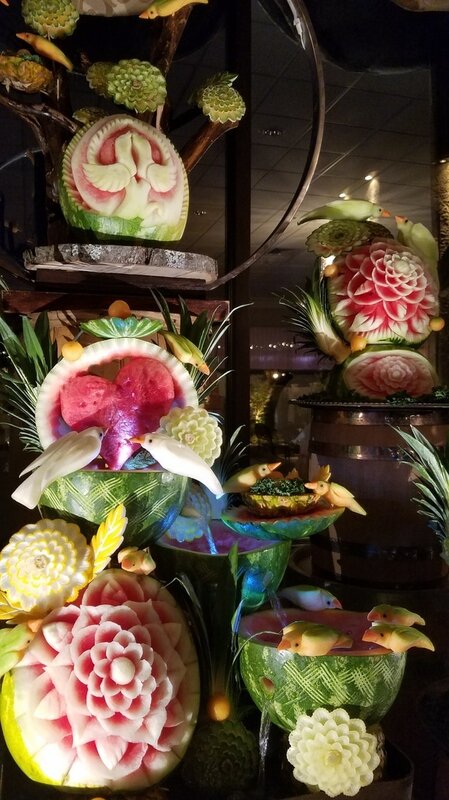 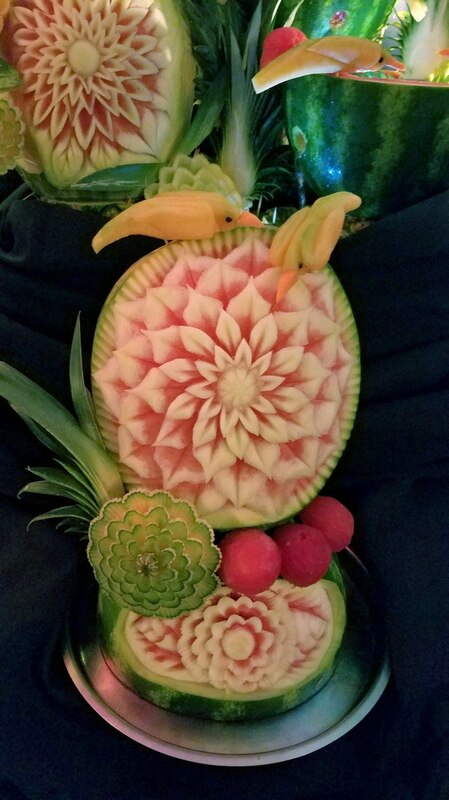 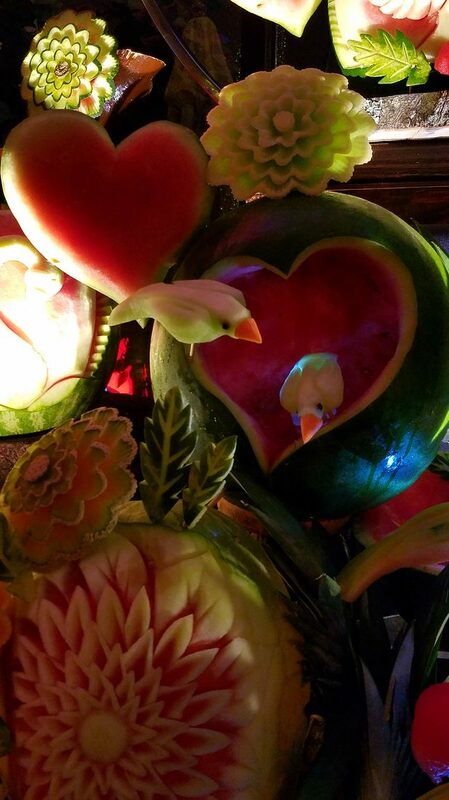 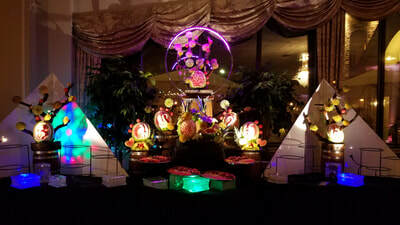 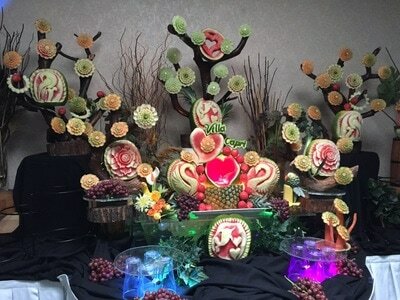 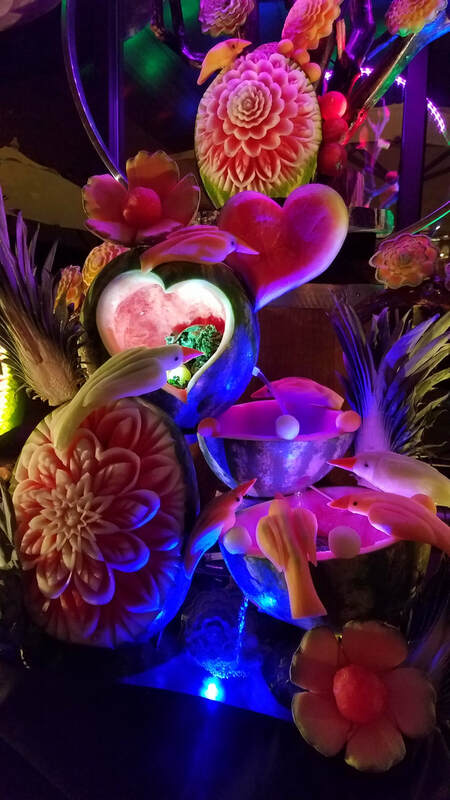 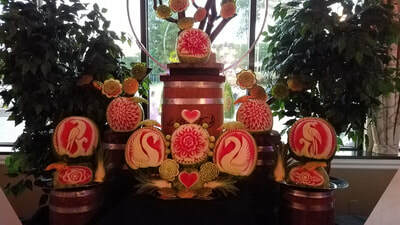 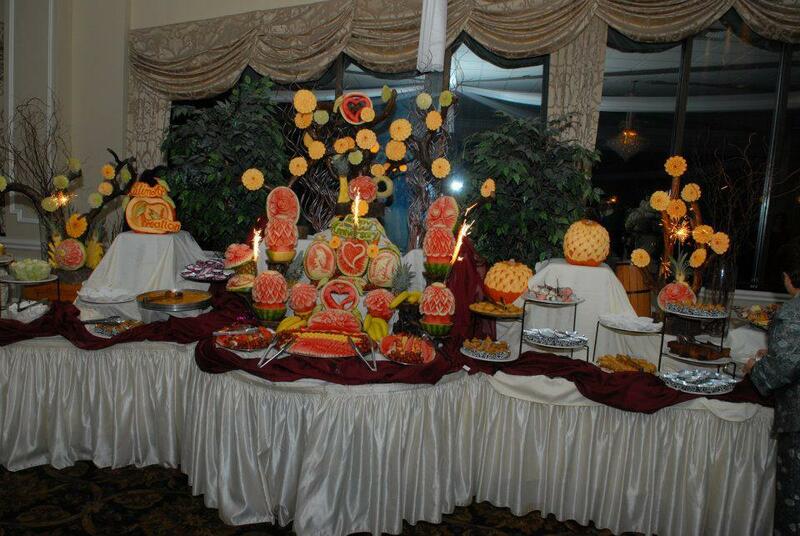 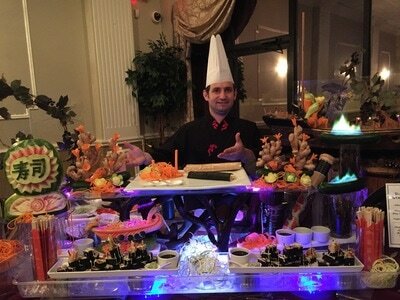 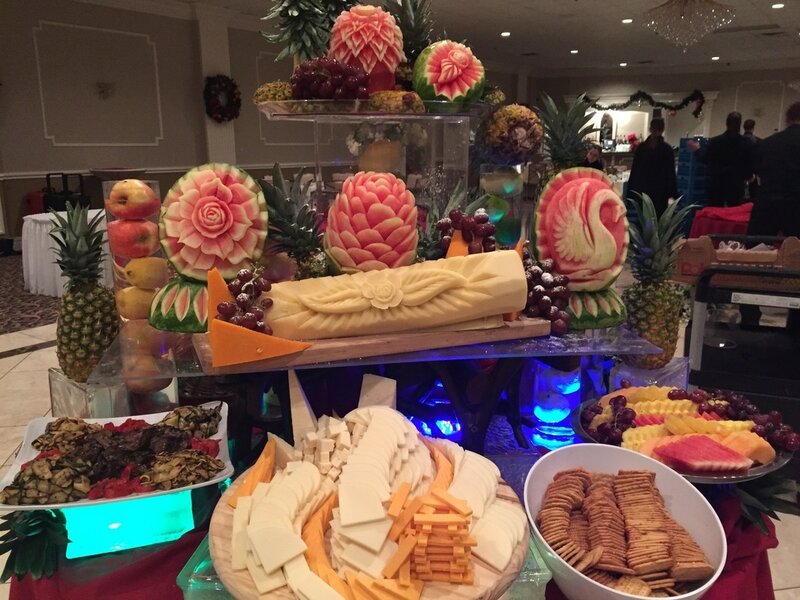 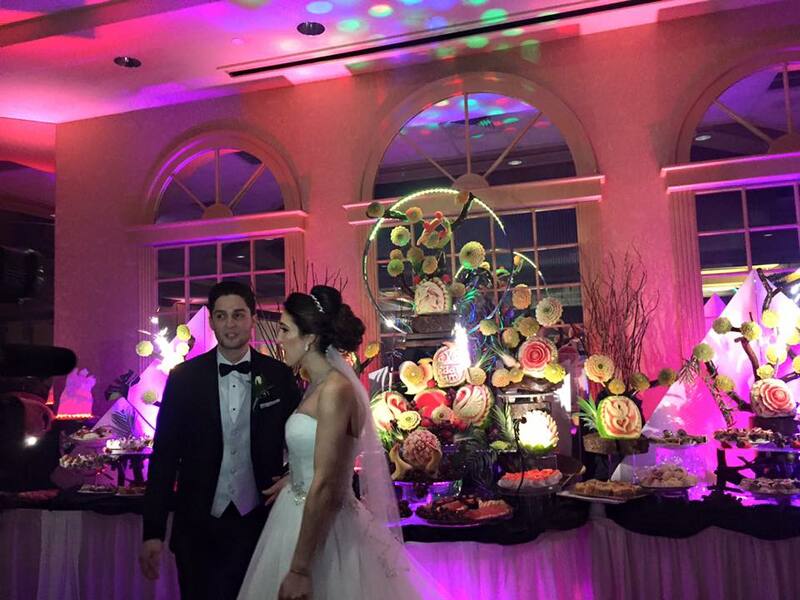 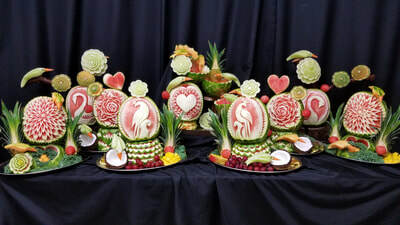 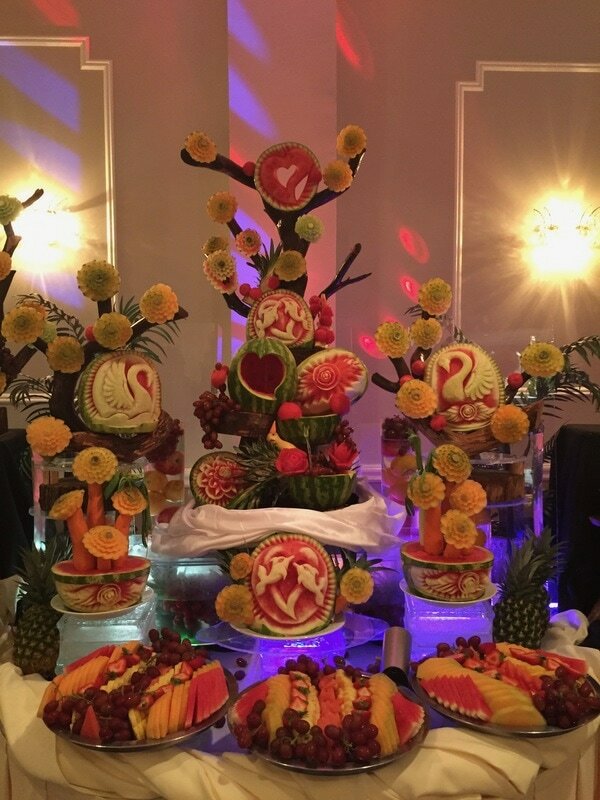 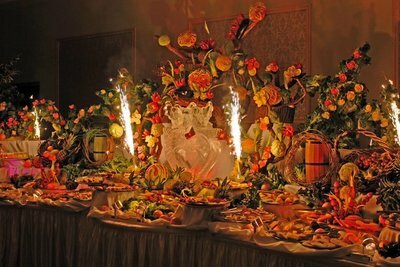 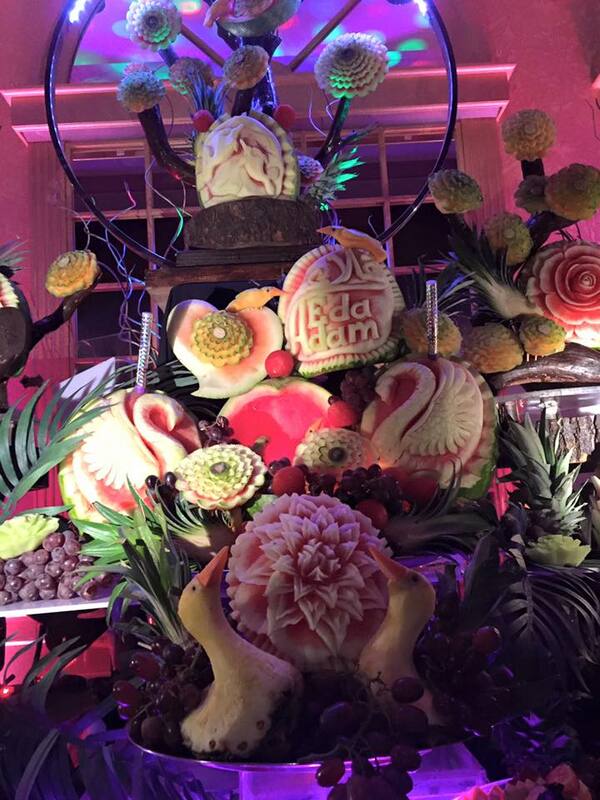 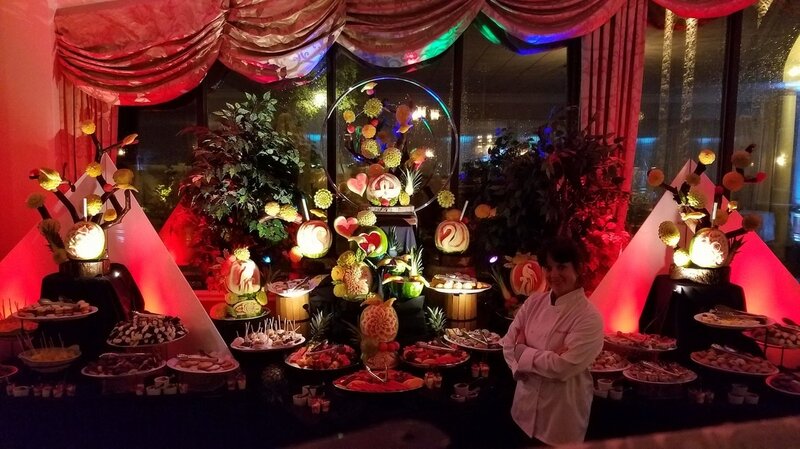 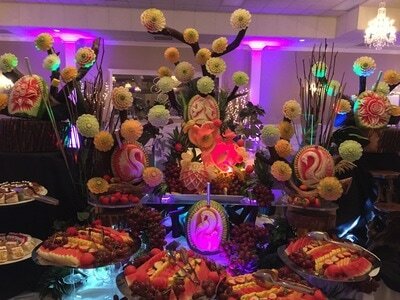 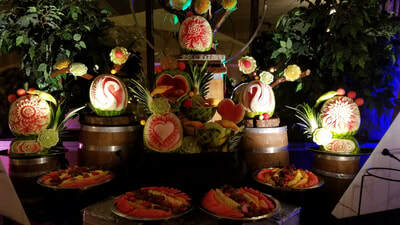 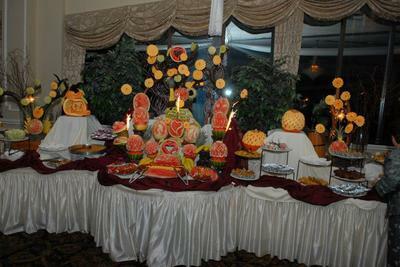 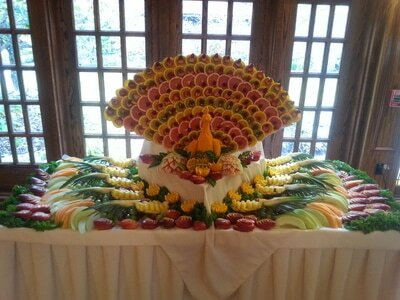 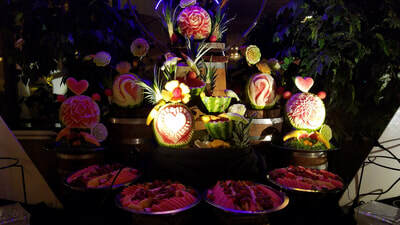 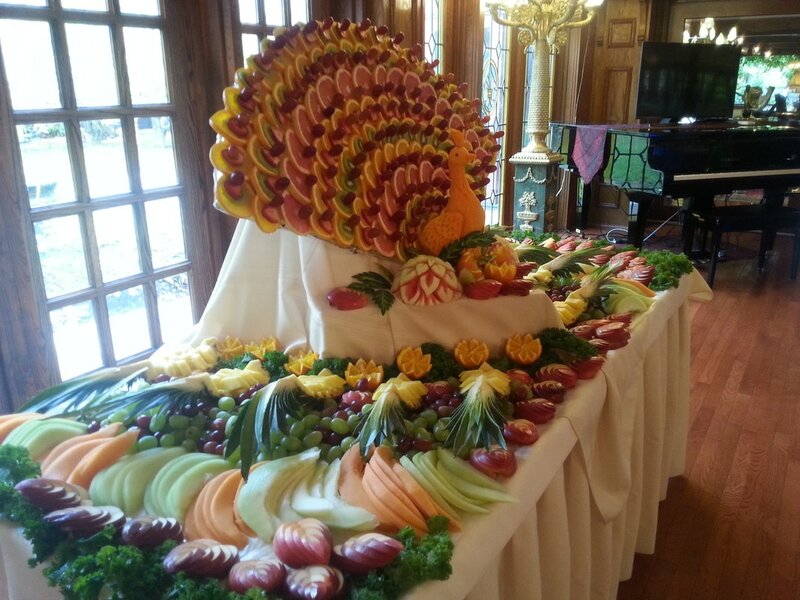 Our arrangements will make any event table special and unforgettable..
E-mail: fruitcarving@culinartcreations.com to place your order for upcoming event or for a special requests.